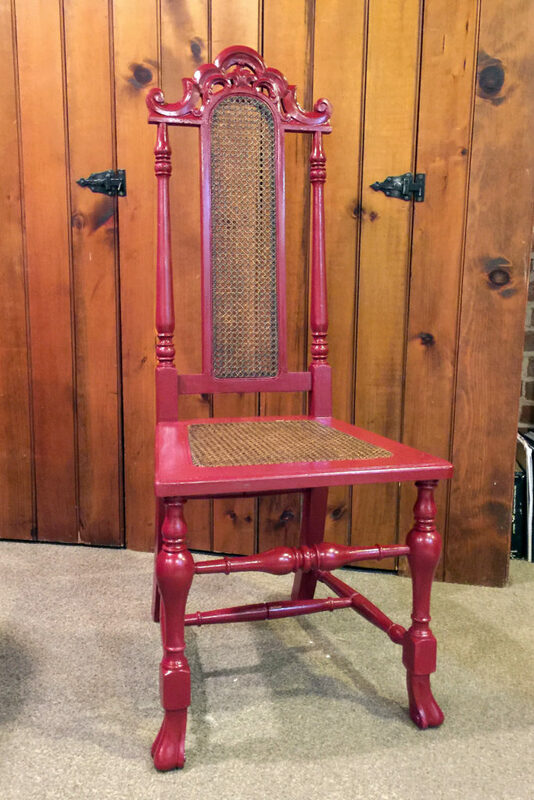 This chair needed some love. And maybe some flowers. 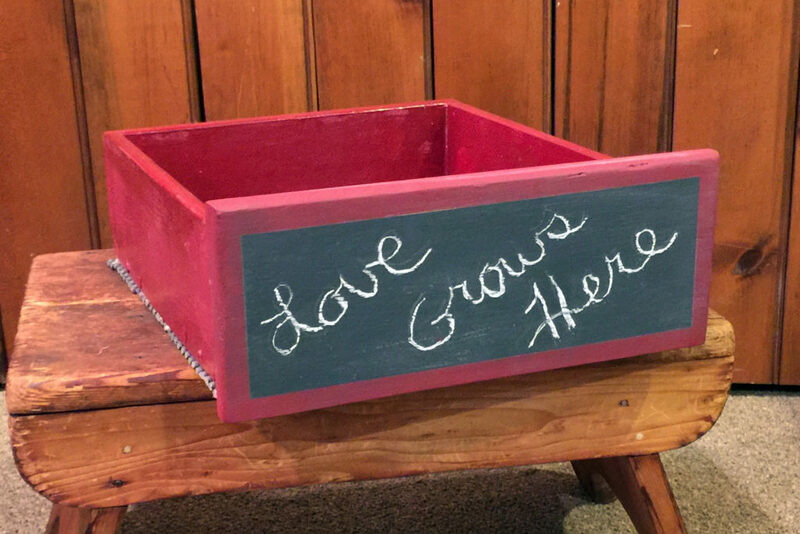 I imagined an outdoor planter for a certain house already filled with love. I brightened it with Annie Sloan Burgundy. 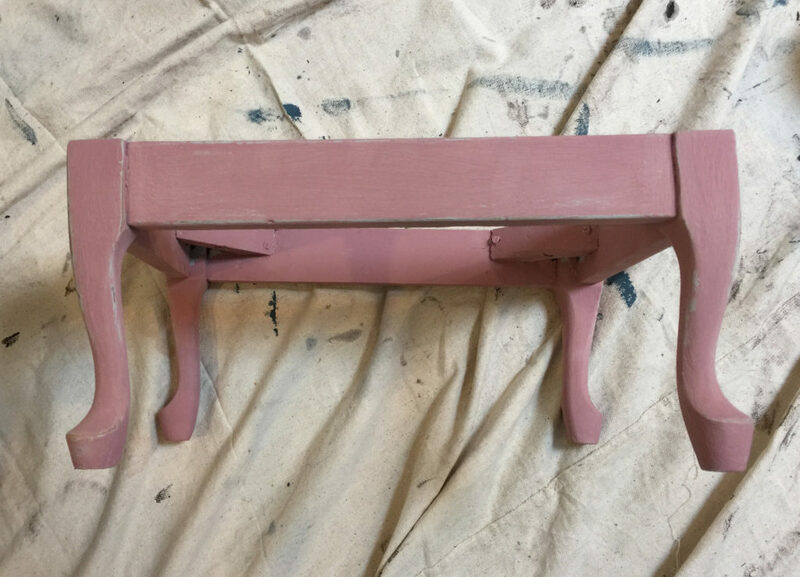 During the month I purchased the paint, Suite Pieces donated a portion to breast cancer research. I was already off to a loving start. 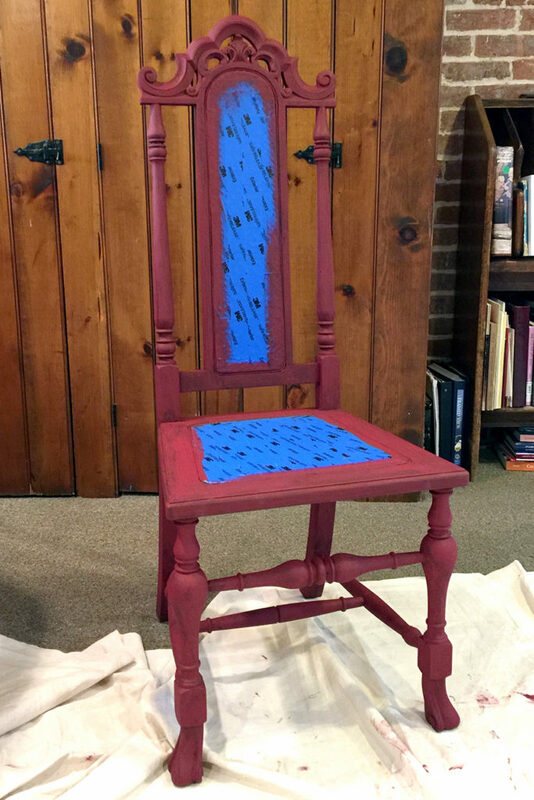 Because this chair would spread the love outdoors, I added two coats of polyurethane to the paint and the cane, sanding between coats. With all that detail, these steps took some patience. I knew that polyurethane could yellow, but even if it did, I decided it wouldn’t diminish the integrity of the color. 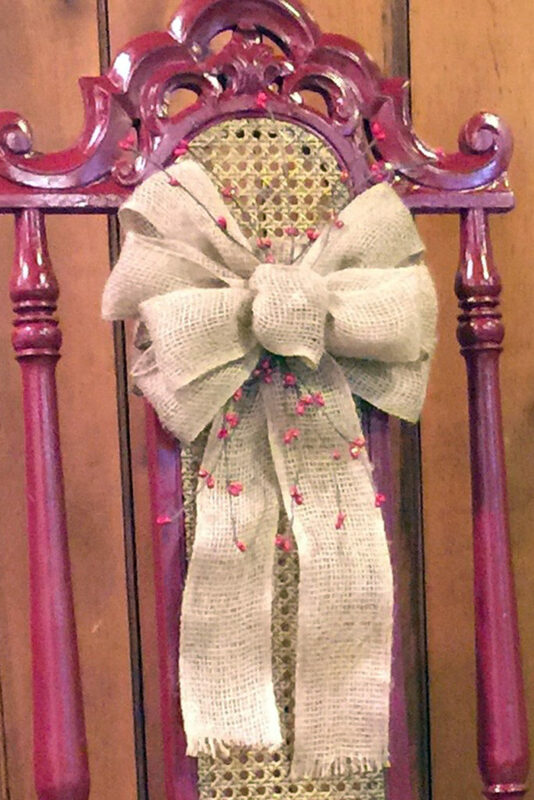 Dressing up the cane back was easy with pieces of a cranberry garland glued inside a twist-tie burlap bow. My plan had been to cut a hole in the seat and insert a flower pot, but the cane was so sturdy I hated to break it. 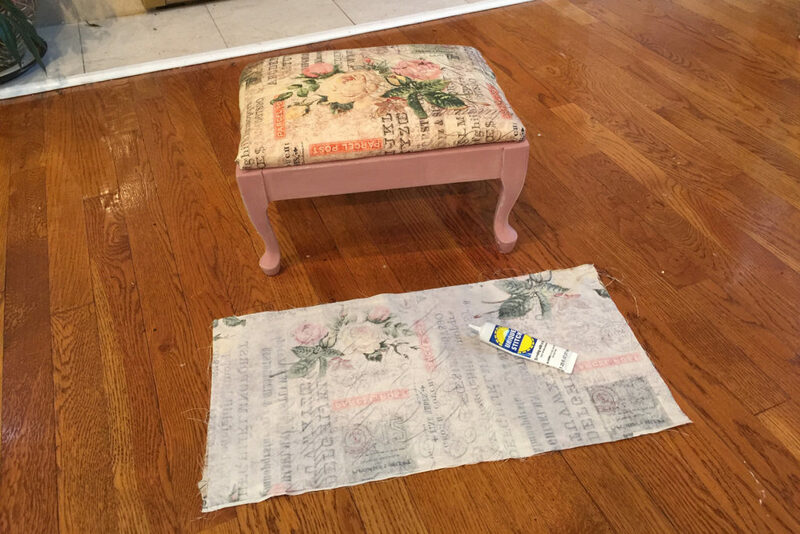 Because this could end up being used as a chair, I tightened some creaks with Krazy Glue. 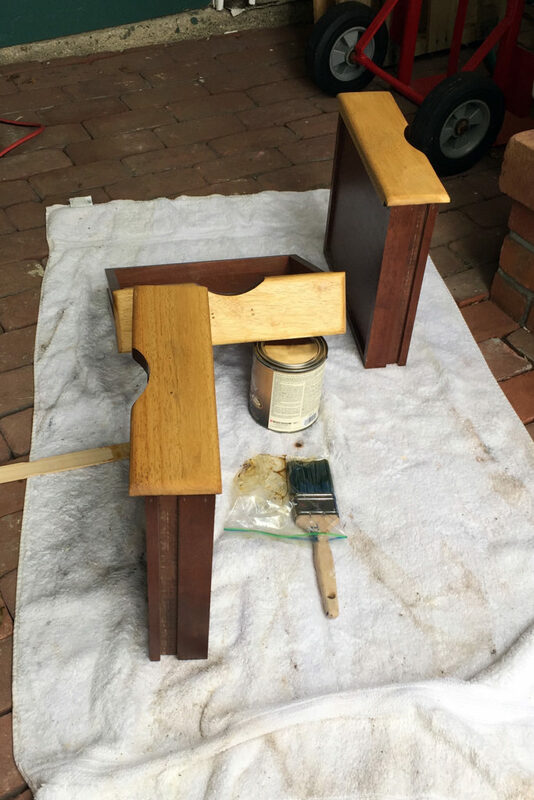 Letting drops of this glue seep into the joints isn’t the most professional finish, but it works for minor creaking, and I felt a quick fix was adequate for this chair. 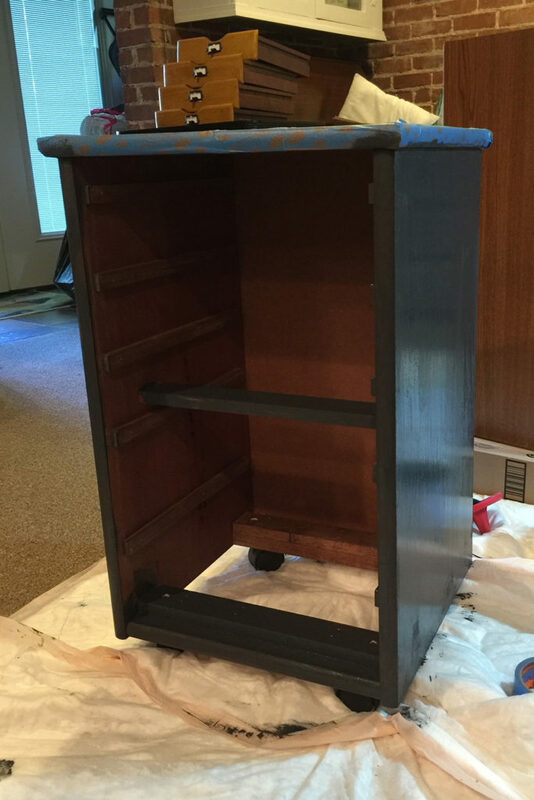 …and painted the drawer to match the chair. 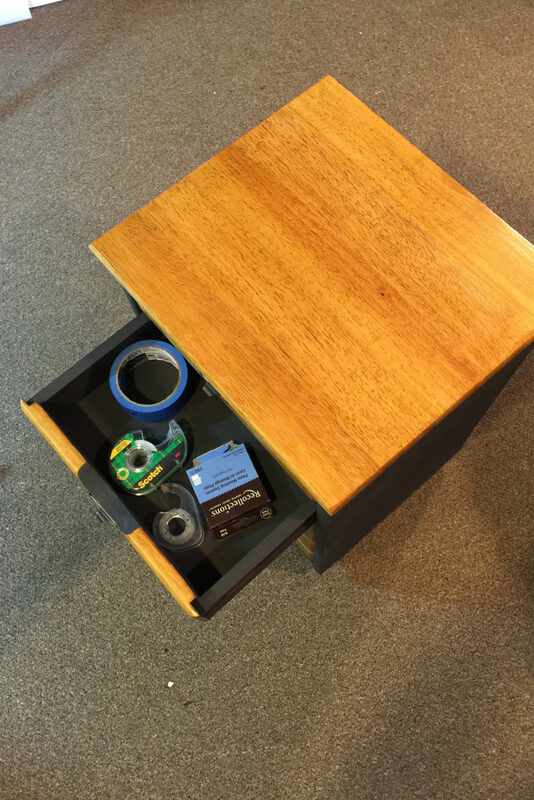 I drilled holes in the bottom of the polyurethaned drawer for drainage and glued strips of rubber shelf liner to the bottom so the planter wouldn’t scrape the seat. 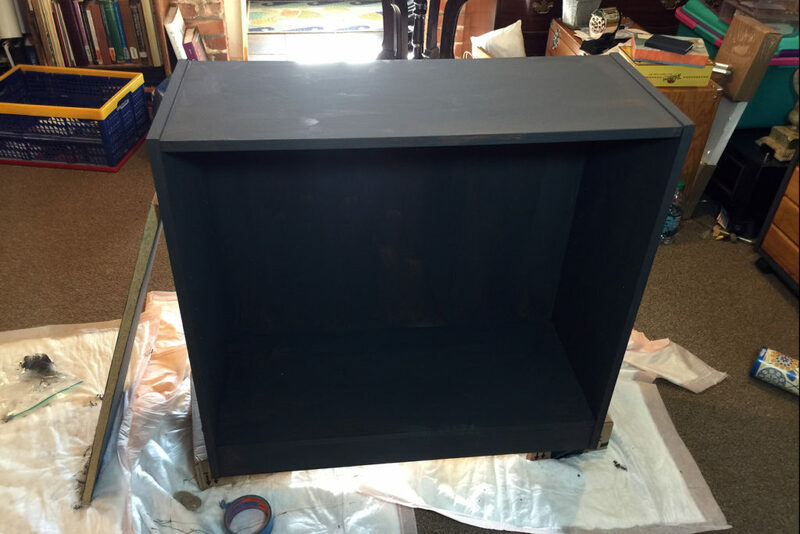 The front section is a chalkboard created with three coats of Graphite with a light sanding between coats. 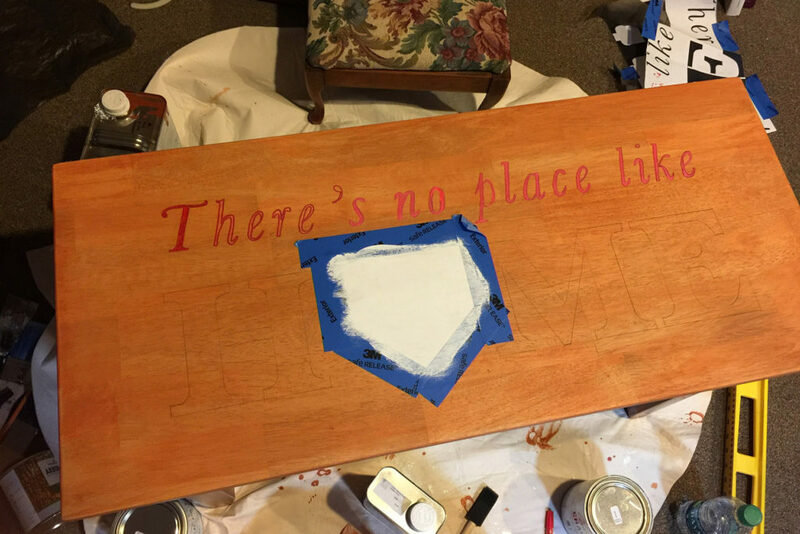 I wrote a message that truly describes the home of my youngest brother and his family. 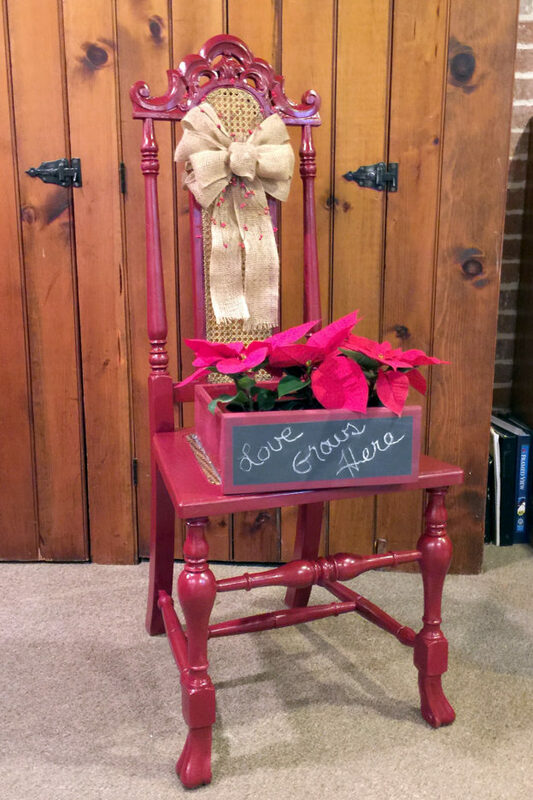 The chair and the planter could be used together or separately. 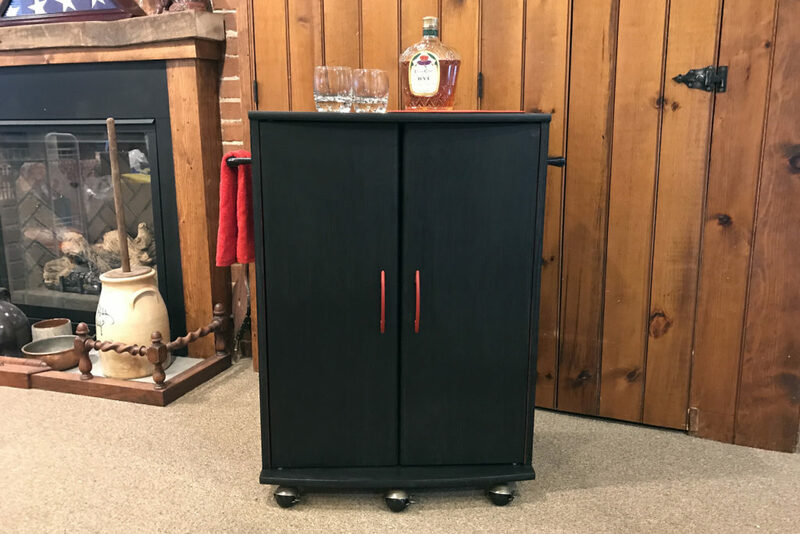 It was a gift from the heart and I loved my sister-in-law’s reaction when, during the big hug she always greeted me with, she spied the chair over my shoulder. Her jaw dropped and her eyes lit up. My brother’s reaction was just as positive but, as usual, more low-key. I knew they both loved it. Lynda has changed the flowers with the seasons but she’s never changed the original message. Love really does grow there. This entry was posted in Furniture, Musings and tagged Annie Sloan, burgundy, chair, chalk paint, chalkboard, craft, crafting, furniture, Graphite, Karen Rae Levine, paint, painting, planter, refinish, refinishing, refurbish, refurbishing, repurpose, repurposing, stain staining, Suite Pieces on April 28, 2017 by Karen Levine. 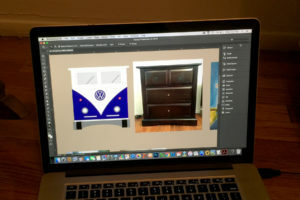 My son always harbored the romantic notion of driving across the country in a Volkswagen bus. The trip never happened, at least not yet, but I never discouraged his dreams and imagination. 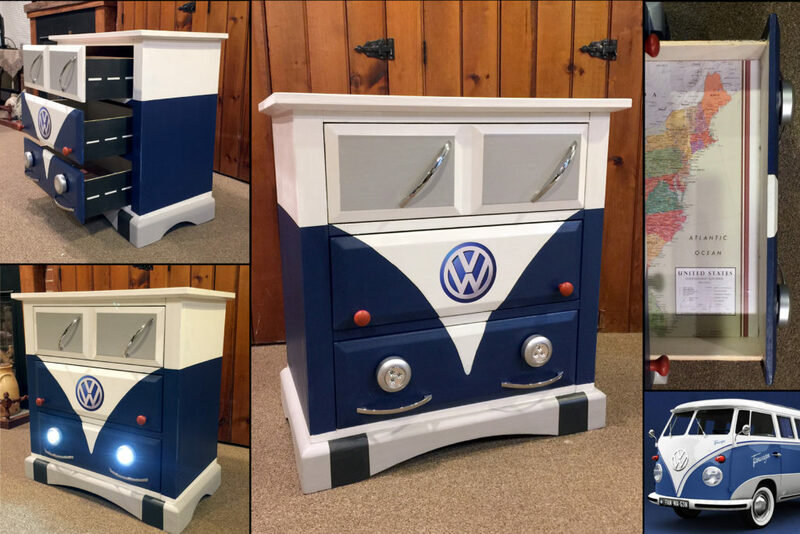 At the advanced age of 22, I wasn’t sure Andrew would want it, but I decided to go ahead and create “mom’s version” of a VW bus. 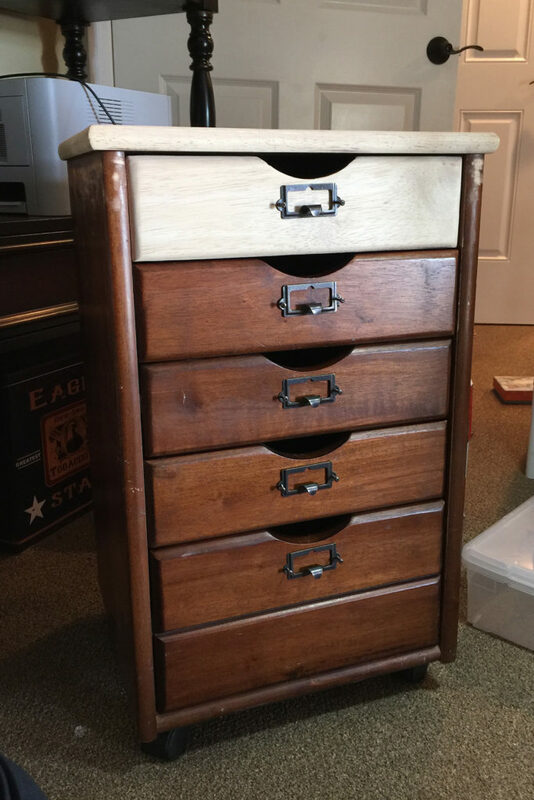 It was a Pinterest post that sparked the idea and then, as fate would have it, I found the perfect little dresser. I knew this project would require a good deal of measuring and planning. 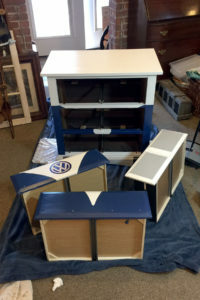 Between finding and ordering the right size accessories (like the lights and the VW decal), deciding where to paint and drill, and then the actual painting, it took about three months. Don’t get me wrong. There were plenty of pit stops on this road trip. I worked on other projects while waiting for supplies to come in and ideas to pop up. 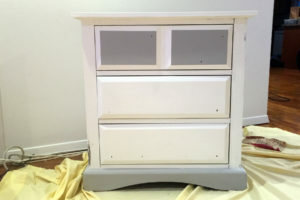 A coat of Annie Sloan Pure White gave me a blank canvas. 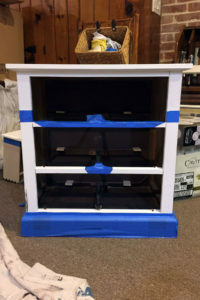 My plan included changing and rearranging the pulls so that they were functioning design elements. 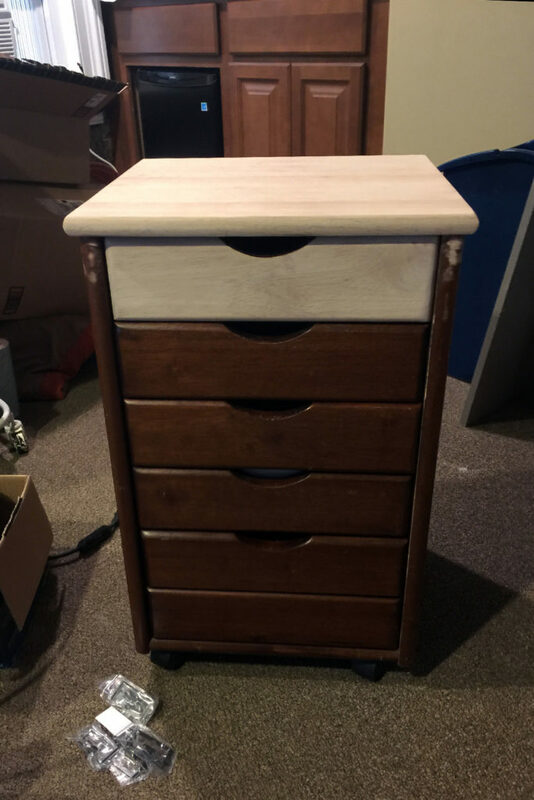 I laid these out before I drilled the new holes: windshield wiper pulls on the top drawer, reflectors (wood knobs I painted orange) in the middle, and something resembling a grill on the bottom. 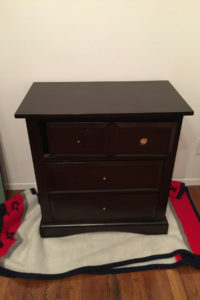 I filled in the existing holes of the drawer pulls with spackle and sanded them smooth. I drilled new holes for the updated hardware. 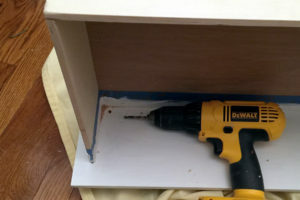 Tip: Because I wanted the middle and bottom drawer pulls as low as possible, I drilled the holes from the inside of the drawer. 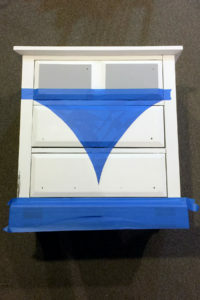 The top drawer had a double raised bevel, making it easy to tape and paint a Paris Grey windshield. On the Paris Grey base, I painted rectangles in Graphite to resemble tires. 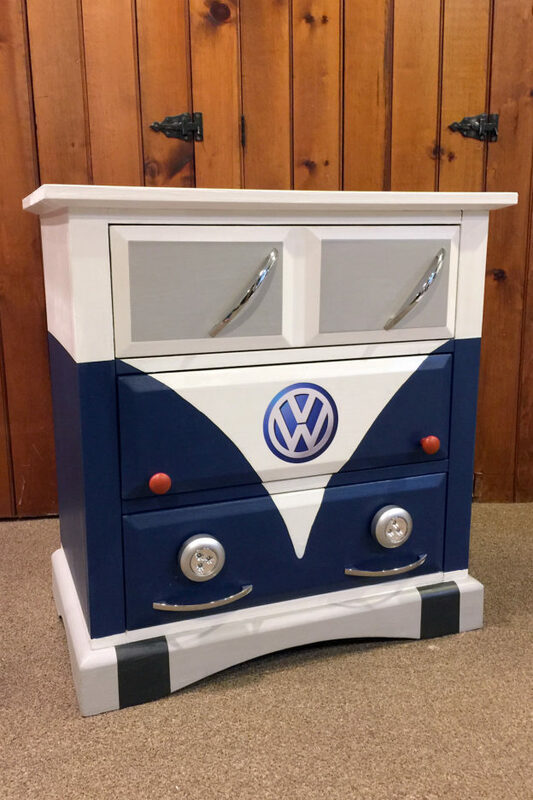 I’d left room on the bottom drawer for the headlights I’d ordered. The extra planning paid off because, although it wasn’t time to attach them, they were just the right size. The biggest design challenge was creating the curved lines that defined the front of a two-tone VW bus. 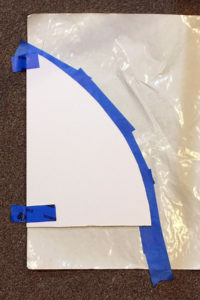 I taped a piece of posterboard on the front and made a freehand swoop with a pencil to draw a curve from the top corner to the bottom. It actually looked good on the first try. I cut the posterboard along my mark with an exacto knife. I’d saved the waxy paper remnant of peelable contact paper. The tape I’d apply would come off of it without losing its stickiness. 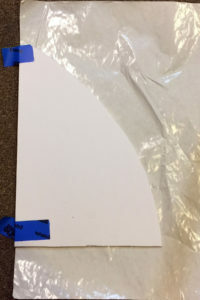 I taped my template to the shiny side and traced the curve onto the paper. 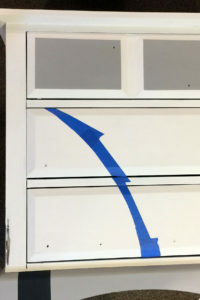 I lifted the template, applied strips of painter’s tape over the penciled line, then put the template back down and traced the same curve onto the the tape. 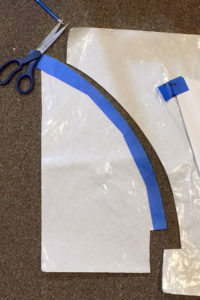 I cut the tape and paper together along the curved line. After pulling the tape from the paper, I stuck it to the face of the dresser. It took some trial and error to position the somewhat wiggly strand of tape. 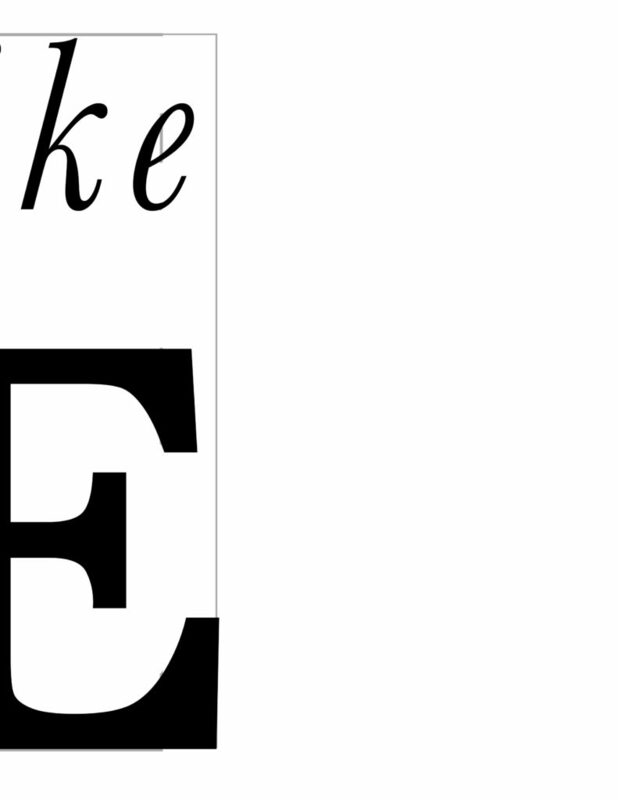 I flipped the template and I used the same method for the opposite side. 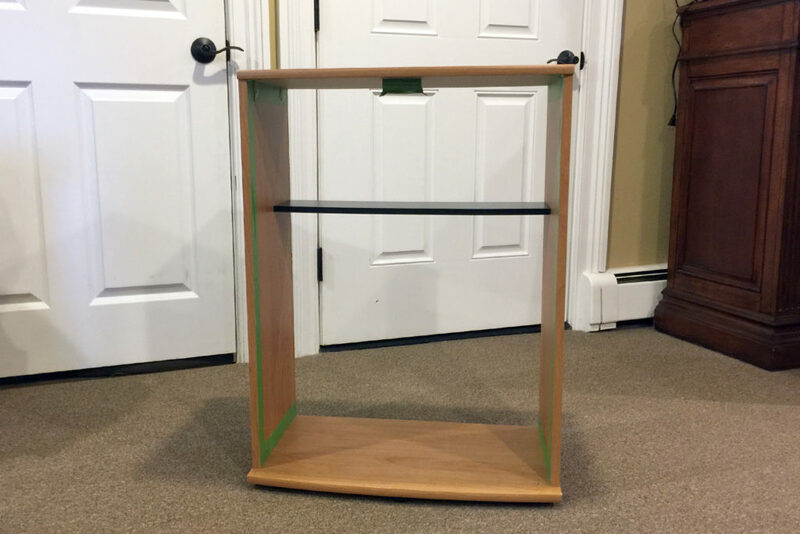 I taped both the drawers and the frame in the area between the two curves. 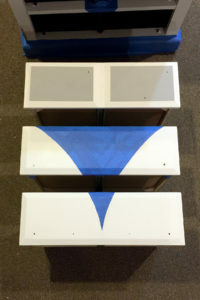 I cut the tape through the slits between the drawers with an exacto knife, removed the drawers, and with Napoleonic blue, painted the base and the drawers separately. There’s a reason I chose blue for Andrew’s bus. He’s colorblind. Blues and yellows are the most vibrant colors he sees. When Andrew was young, I was surprised to learn how many teachers knew little or nothing about a condition that would surely impact a child’s experience in the color-oriented world of early education. Because of Andrew and so many others who are colorblind (1 out of 12 boys and 1 out of 200 girls), I made it my mission to help parents, teachers and children understand and cope with color blindness. One result was the publication of my first book, All About Color Blindness: A Guide to Color Vision Deficiency for Kids (and Grown-ups Too!). It won a five national book awards, including Mom’s Choice. 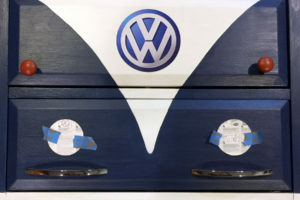 I’d found the perfect peel-and-stick VW decal from Ebay and centered it on the center drawer. 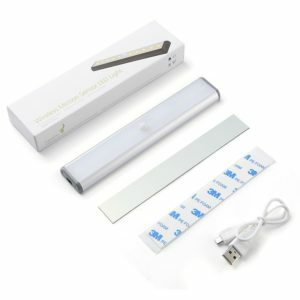 The decal and the stick-on lights answered the “wax or varnish?” question. Wax would loosen the adhesive and they’d all slide right off. I chose a satin finish because a real VW bus has a little shine. 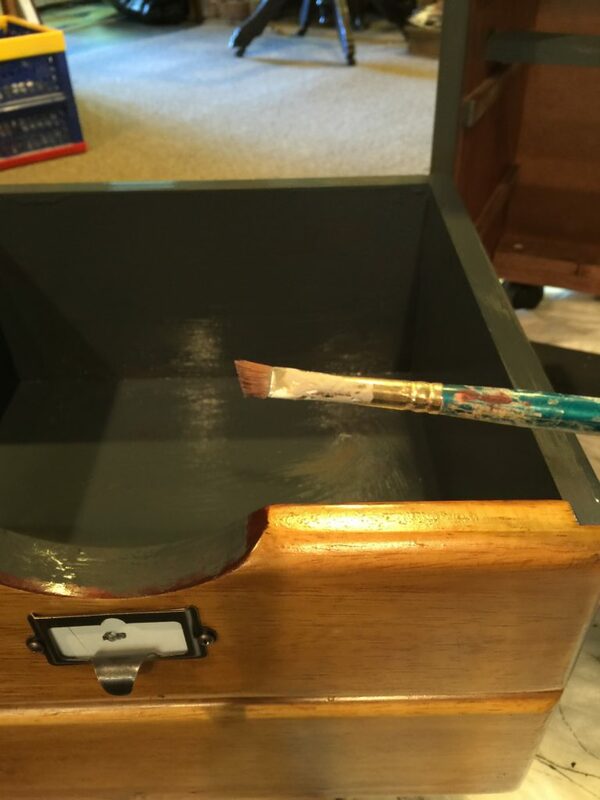 I’ve had success with Polyvine wax finishes before and it’s my go-to for varnishing. I positioned the headlights using the paper that covered the adhesive. 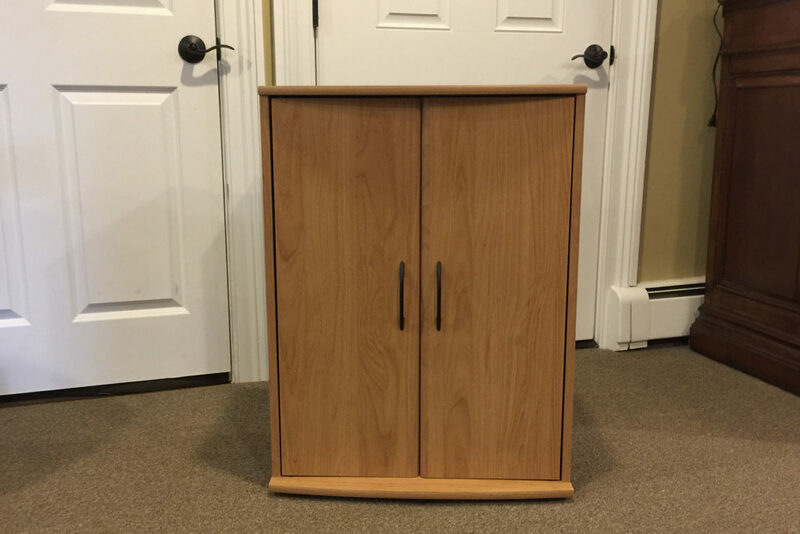 The stickiness of the stick-on lights would have been good enough for use in a closet or drawer, but I imagined the front of this dresser would get a lot more action. I rolled off the adhesive pad with my thumb and attached the lights to the drawer with Gorilla Glue. 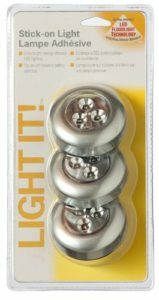 Because I wanted the lights to last as long as the dresser, the ability to change the batteries was important. A little twist freed the body from the backing and exposed the battery compartment. The lights turn on and off by pressing the front. 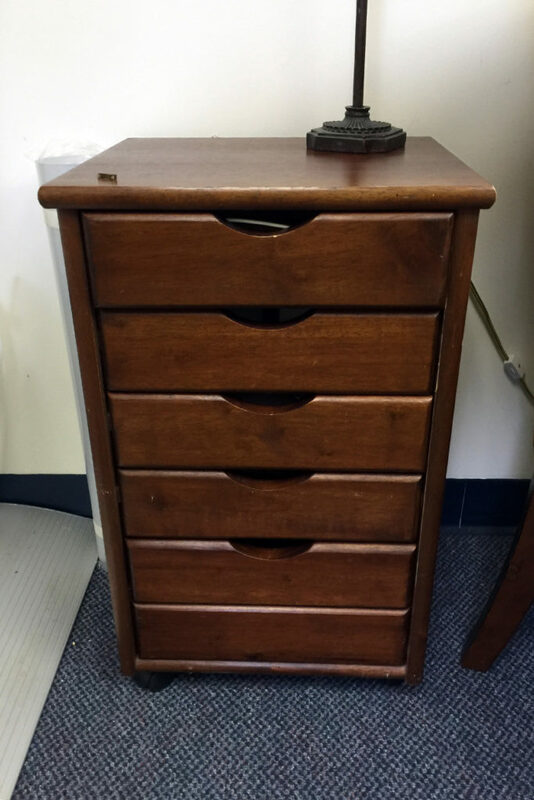 I’d spent a good deal of energy on this little dresser and it looked like it was ready to roll. But does anyone love a car just because it looks good on the outside? This baby had to be good-looking on the inside too. 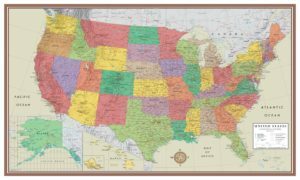 I ordered a US road map that was three feet long, just the right length to cut and line three 12-inch deep drawers. 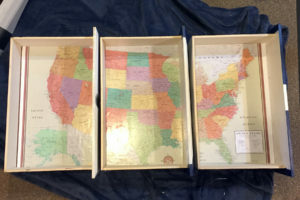 Mod Podge on the bottom was all the glossy paper needed. 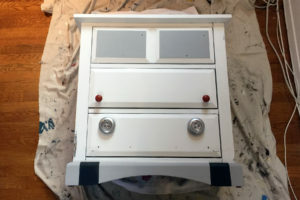 I painted the sides of the drawers Pure White. 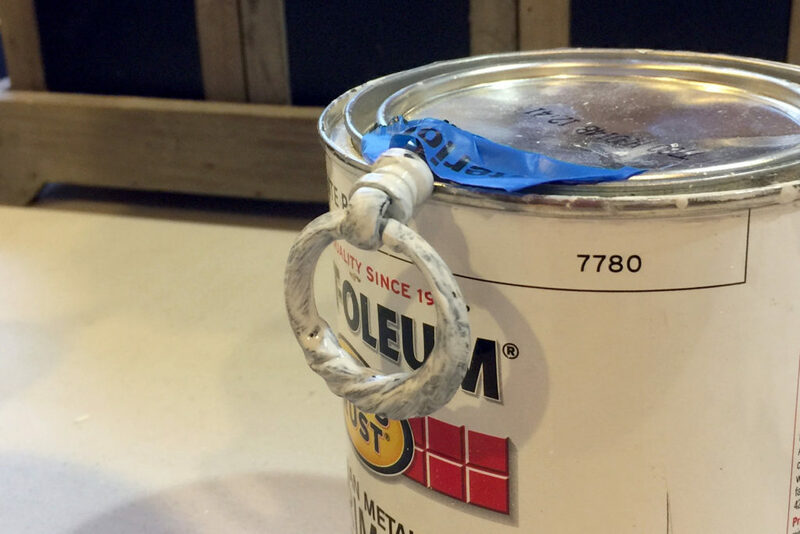 When they were dry I added thin strips of painter’s tape and covered paint and tape with two coats of Graphite. When I pulled up the tape it had the look of white-lined roads. These pretend highways got a coat of varnish too. And at last it was good to go. Since Andrew is a college graduate with a grown up job and his own apartment, I thought he might consider this a bit too childish. I included a photo in a text, assuring Andrew that I wouldn’t be insulted if he didn’t want it. His low-key response made me smile. “I can take that off your hands.” My man-child was like me. He hadn’t lost his sense of humor or his sense of whimsy. Good news for both of us, I think. 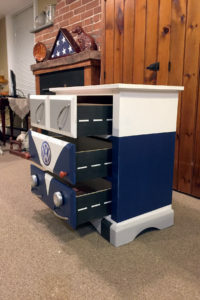 This entry was posted in Furniture and tagged Annie Sloan, bus, chalk paint, craft, crafting, dresser, furniture, Graphite, Karen Rae Levine, lights, Napoleonic Blue, nightstand, paint, painting, pure white, refinish, refinishing, refurbish, refurbishing, repurpose, repurposing, stain staining, Suite Pieces, volkswagen on March 5, 2017 by Karen Levine. 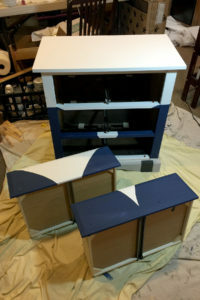 I usually tackle two projects at once so I can work on one while the paint dries on the other. 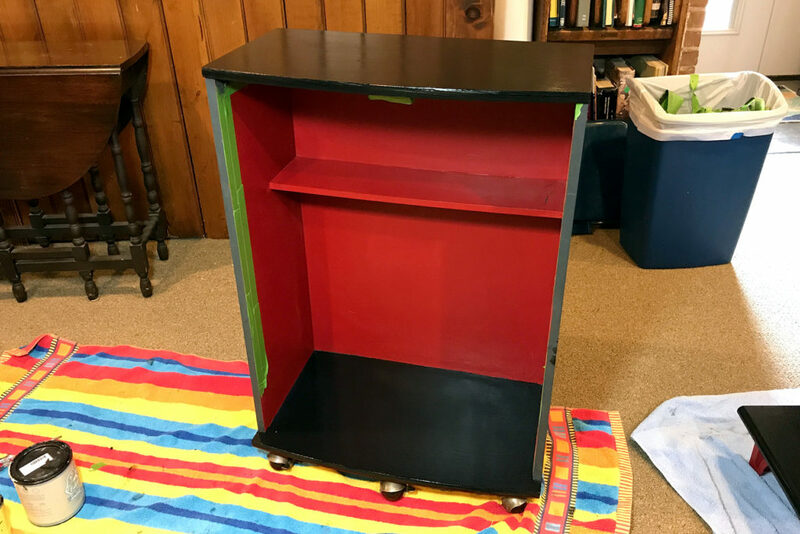 In the middle of transforming a side table, I emptied an old laminate bookcase. Before dumping it curbside, I decided to see if it could be saved. 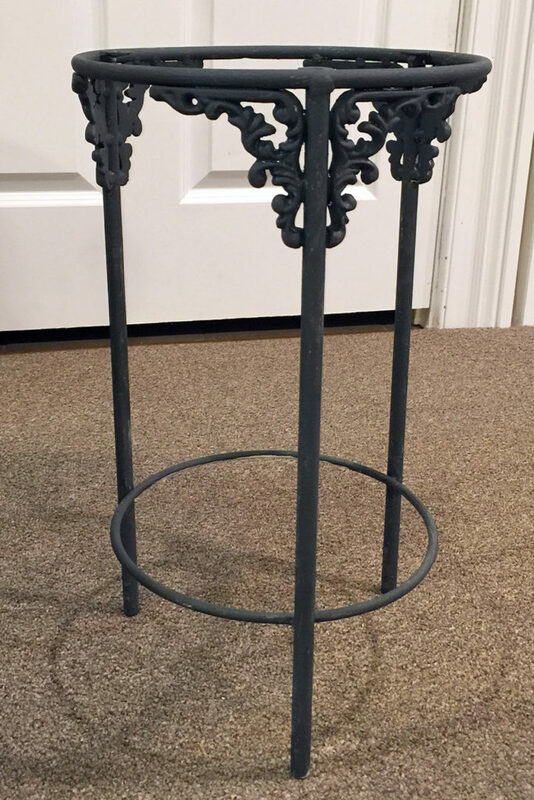 One coat of Annie Sloan Graphite covered the fake wood. Just that little bit of transformation put my creative wheels in motion. 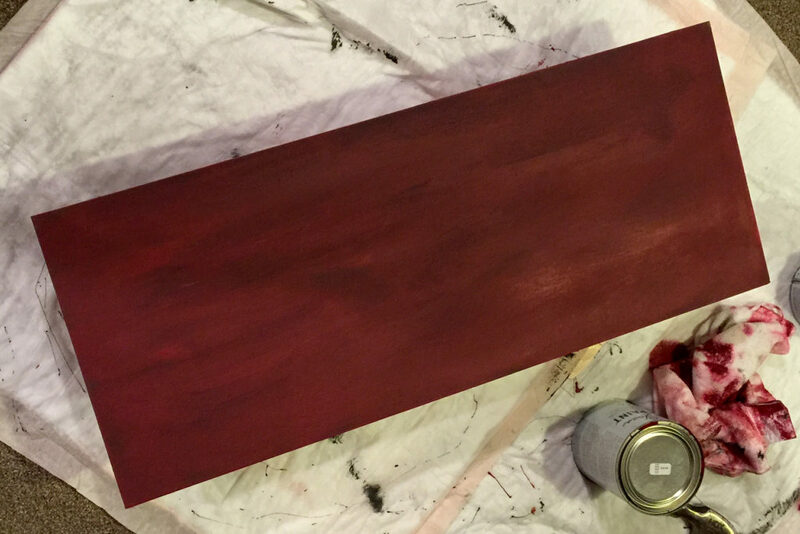 I slid over the can of paint I had out for the side table and dipped a brush already wet with Annie Sloan Burgundy. I guess I’d call it “wet brushing” because all I did was brush it on. I kept my strokes light and straight and didn’t fill it in where the Graphite showed through. Where I thought the paint was too heavy, I wiped it back with a wet rag. 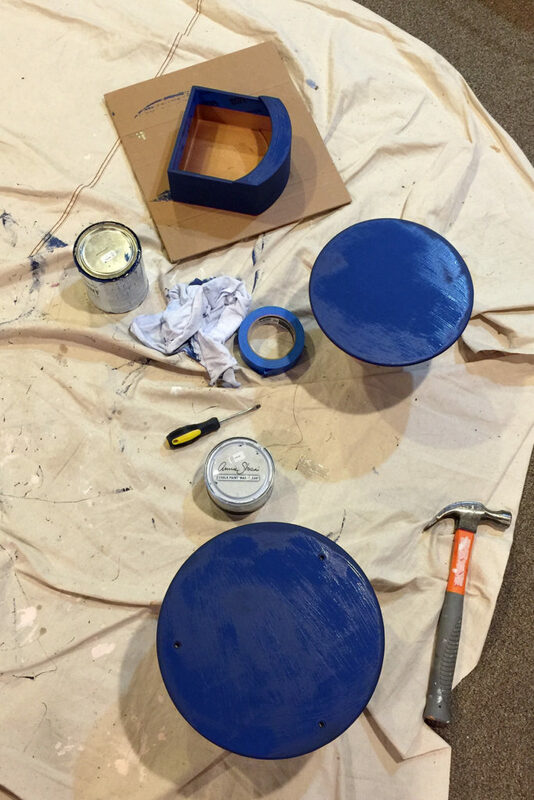 To be sure the paint stayed wet enough, I painted one section at a time. …but the more the paint dried, the more I liked my quick little experiment. The muted color combo had sort of a mahogany look. I didn’t think the cardboard back panel would survive the pressure I’d need to add a coat of wax. I left it alone and applied clear wax to the stronger surfaces. 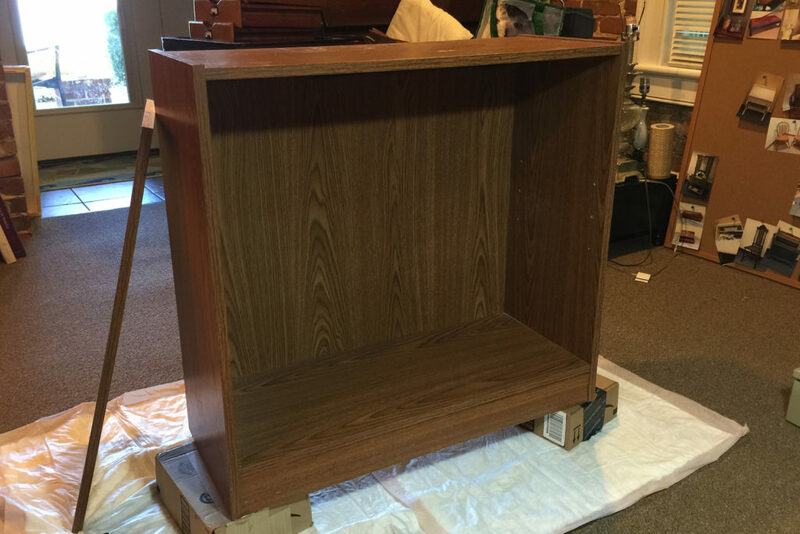 The bookcase wasn’t the best piece of furniture I owned but it was a quick and easy job to hide the just-plain-ugliness of the “who are you kidding?” wood-look laminate. 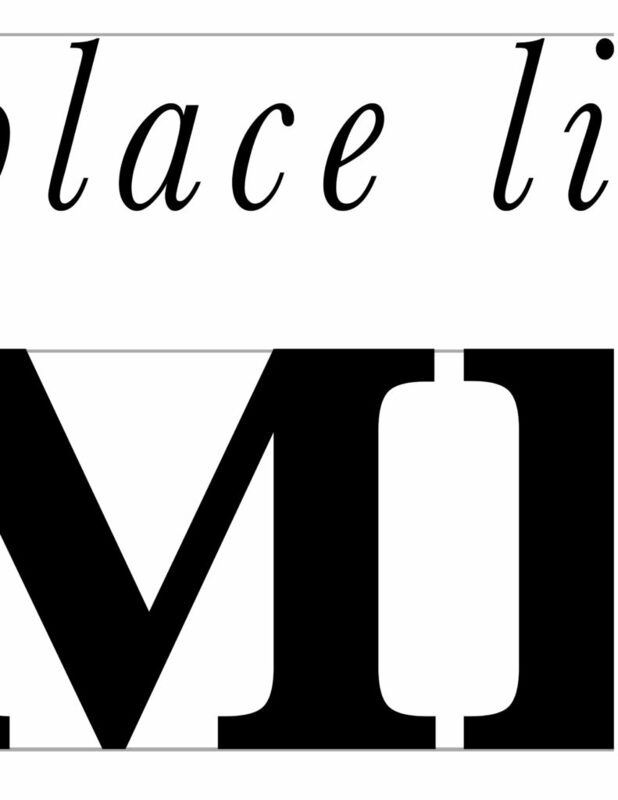 Don’t be afraid to experiment, especially on pieces that couldn’t possibly look worse. What you learn from experiments, successful or not, can be applied to another project. 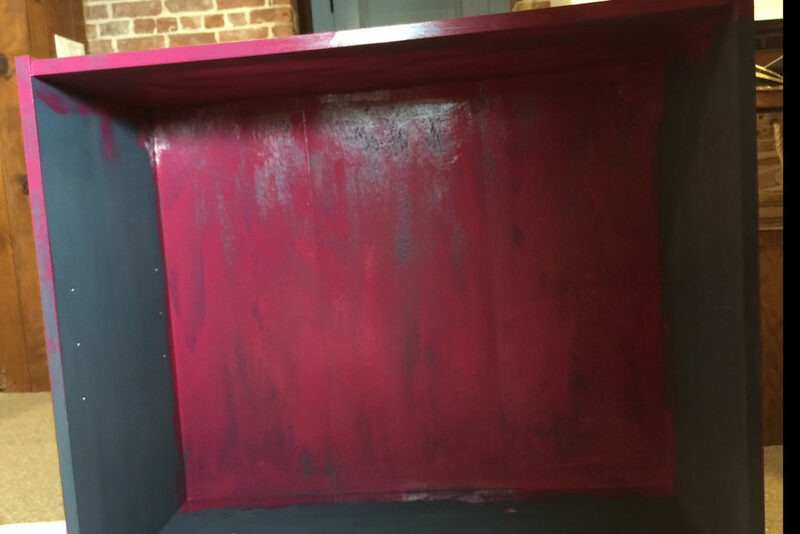 Some people think that creative exercise is as exciting as watching paint dry — but I’m not one of them! 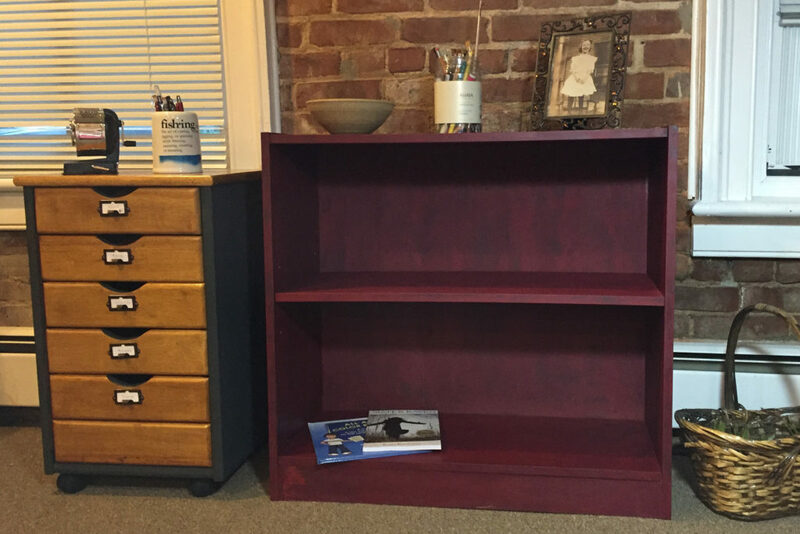 This entry was posted in Furniture, Musings and tagged Annie Sloan, bookcase, burgundy, chalk paint, craft, crafting, furniture, Graphite, Karen Rae Levine, paint, painting, refinish, refinishing, refurbish, refurbishing, repurpose, repurposing, stain staining, Suite Pieces on February 17, 2017 by Karen Levine. 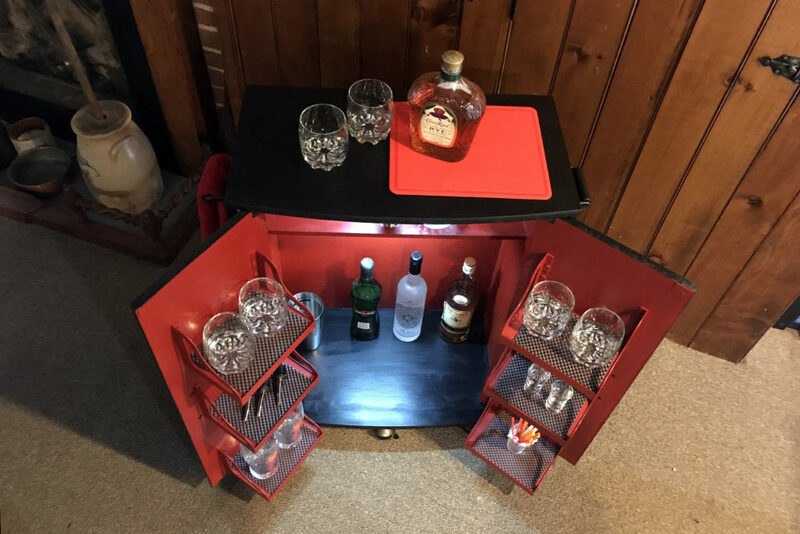 Here’s the second step in my plan to liven up a corner in my living room. You can see the first part in If At First You Don’t Succeed. I’m not a fashionista but sometimes a new dress with matching shoes makes me feel good about myself. 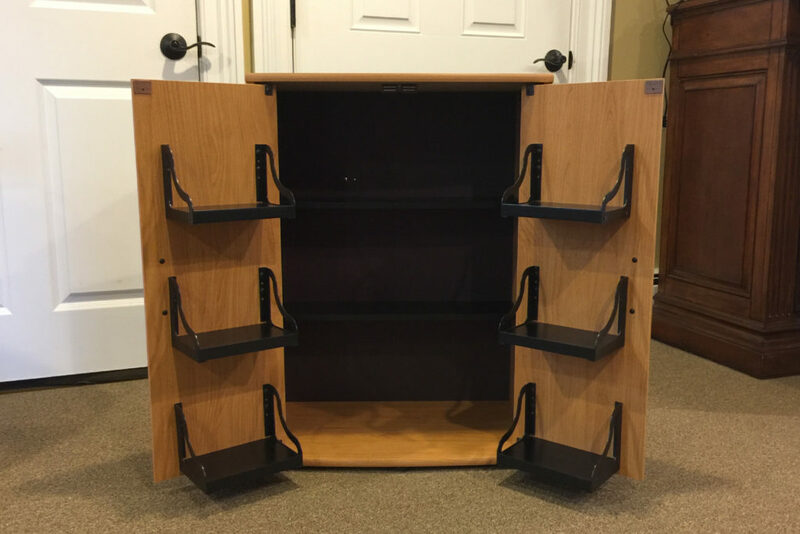 It’s the same with furniture. 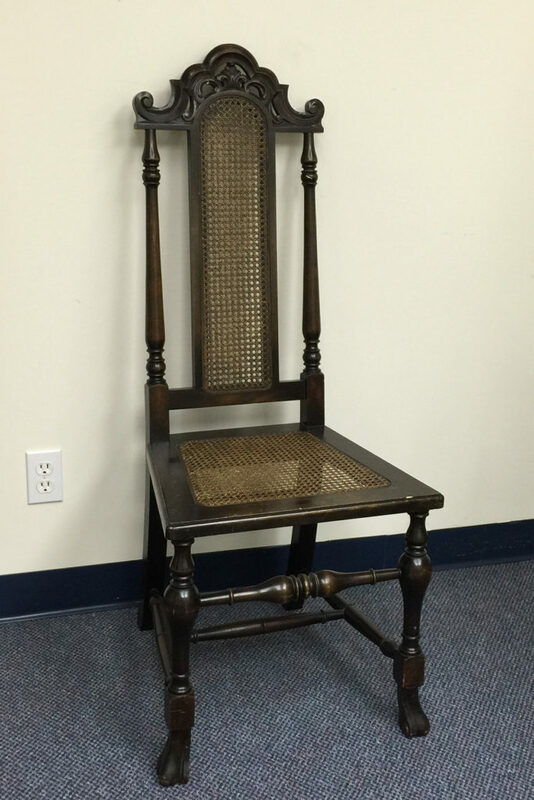 This old chair I inherited needed a pick-me-up. 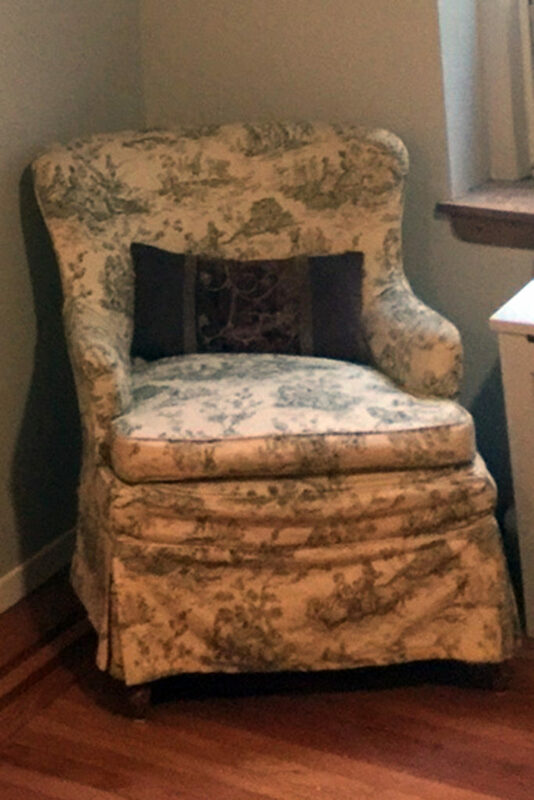 The slipcover, like an old bathrobe, had to go. 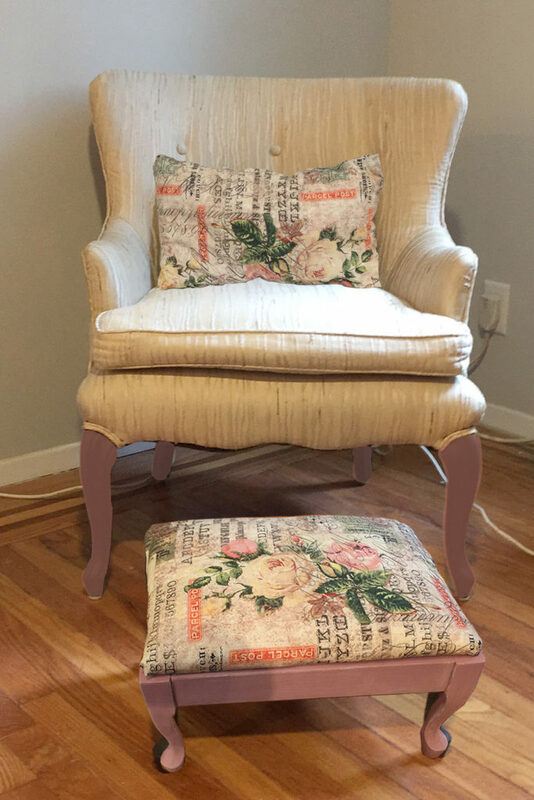 The best thing about an old chair with a slipcover is what you might find underneath. 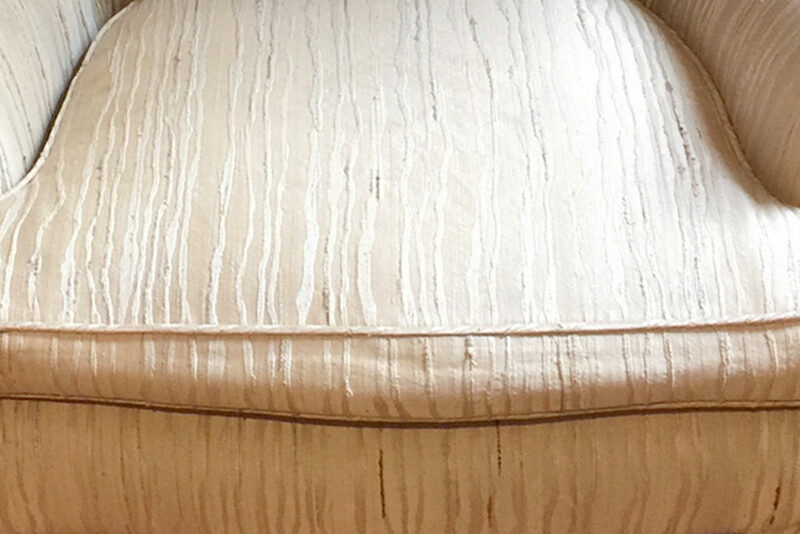 Say for instance, perfectly preserved ivory silk upholstery. Instant new dress! 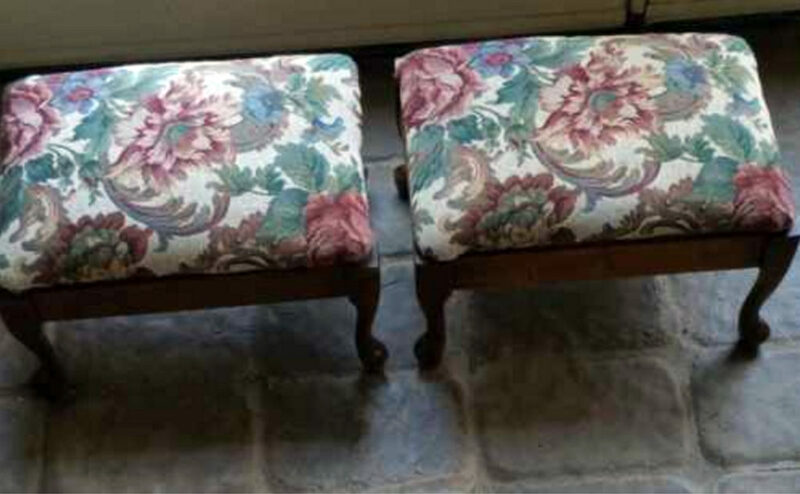 Matching shoes would come in the form of a coordinating footstool. I found the one in the size and shape I wanted but the owner was stubborn about selling the pair. I relented but in the end I was happy. It gave me a chance to try on two different outfits. 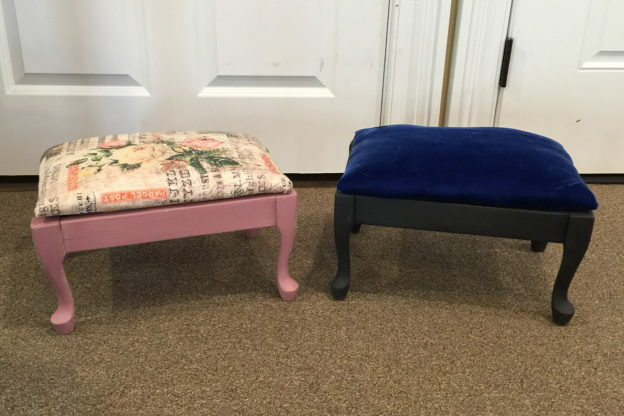 The process of changing the look for each footrest was the same: replace the fabric and paint the legs. 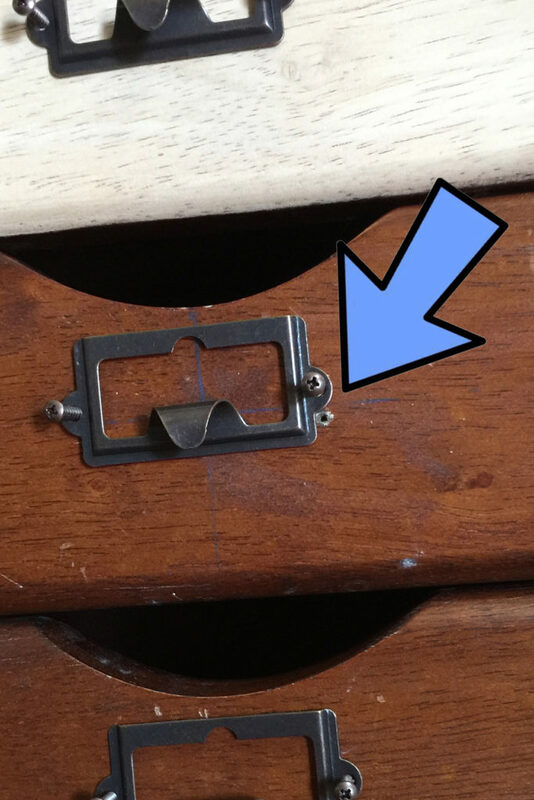 Flip it over, remove the screws (keep them handy), and pop off the top. Remove the nails or staples holding the old fabric in place with pliers and/or a flat-head screwdriver. Reuse or replace the batting, depending on its condition. 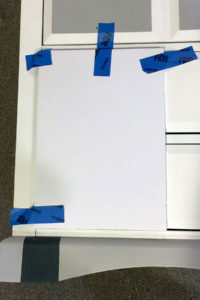 Cut the fabric wide around board, leaving plenty for the wrapping process. Pull the fabric tight across the backboard and use a staple gun all around to secure it. Play with the corners to get the look you want. 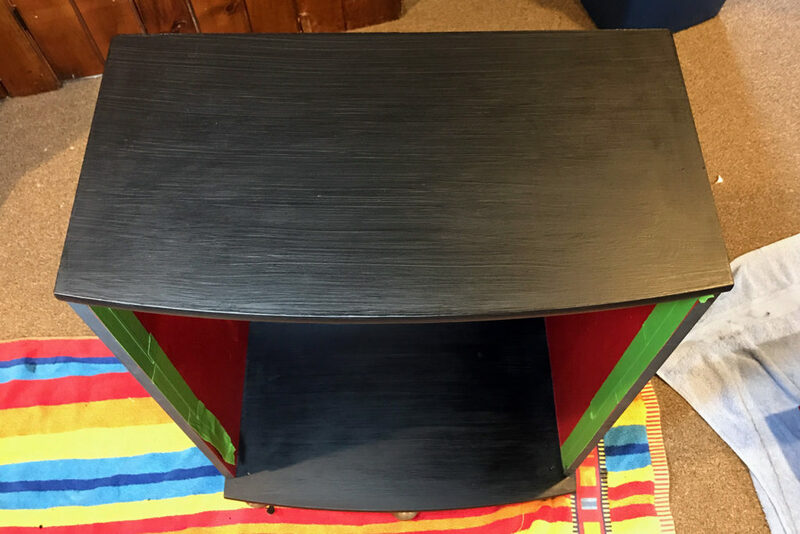 Re-screw the bottom to the top. 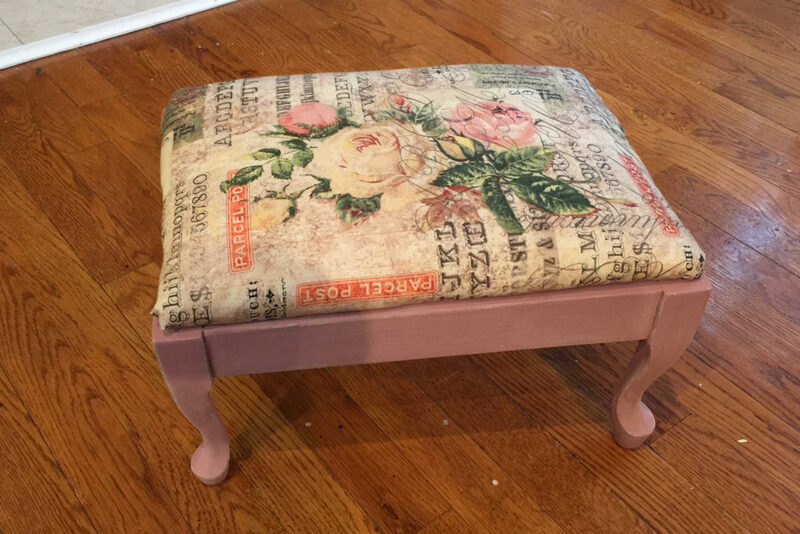 In this case, the footrest is painted with Antoinette over a coat of Paris Grey with the pink sanded down to reveal the grey. 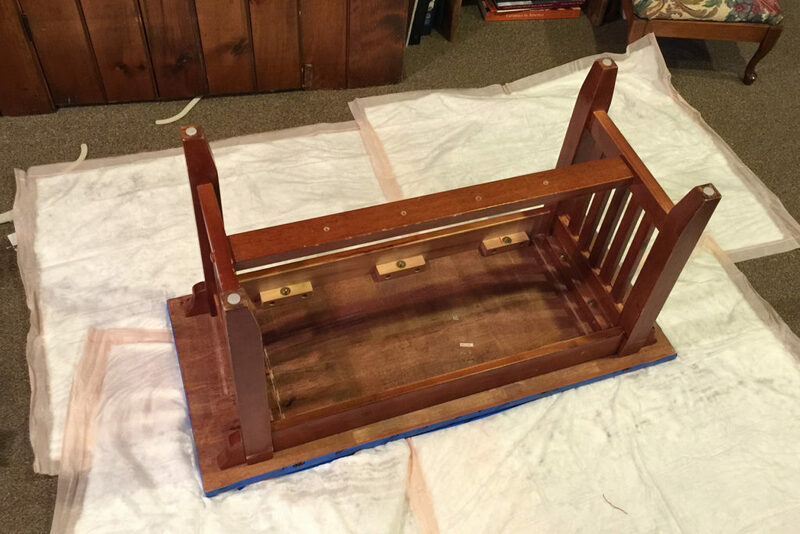 Then a coat of clear wax. 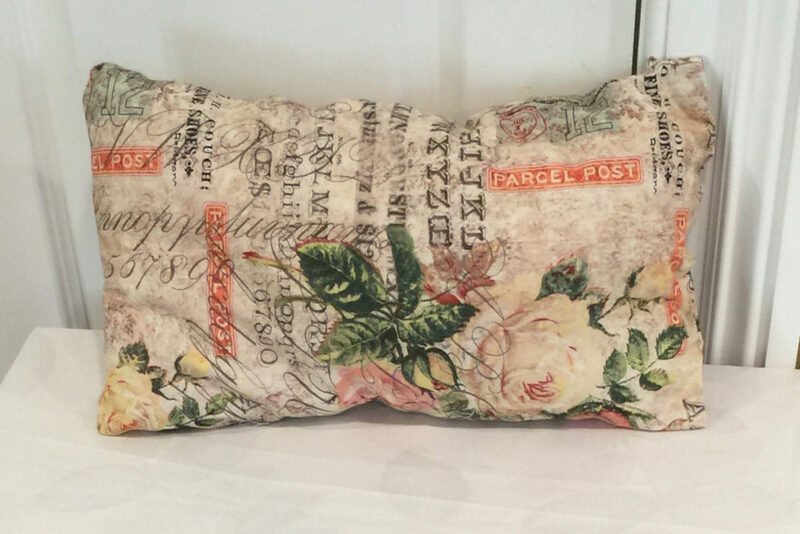 Leftover fabric became matching pillows. 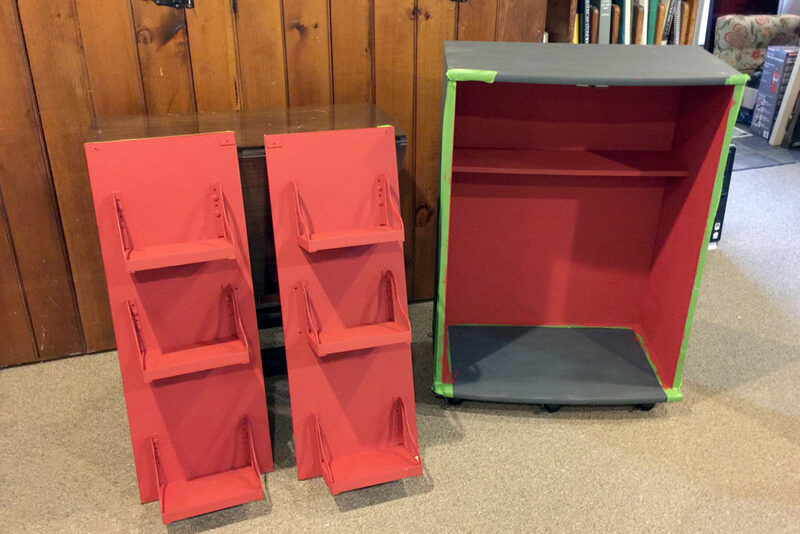 I cut two identical rectangles, about 2 inches all around larger than the dimensions of the ottoman. I glued the pieces together, good sides facing each other, with a uniform line about a half inch inside the cut. I used Unique Stitch fabric glue, (but if you can sew, go for it. Don’t forget to leave an opening unsewn or unglued to leave room to add the filling. Turn it inside out, stuff it, and close up the opening. Now for the main ensemble, suitable for an elegant evening. 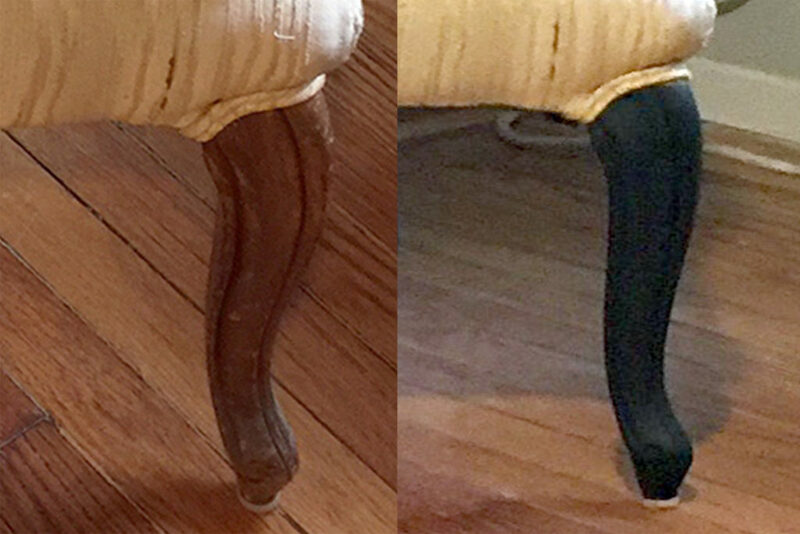 First, on the legs of the chair and the footrest : two coats of Graphite and one coat of Black Wax. 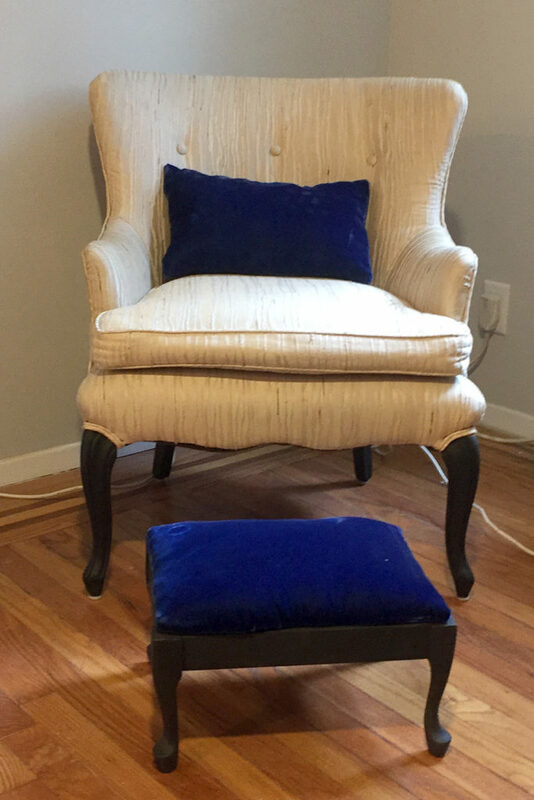 A new dress (upholstery), accessories (a blue velvet pillow), sleek hose (painted legs), and matching shoes (a footrest), will help make this chair a stunner in the corner of an eclectic/contemporary living room. 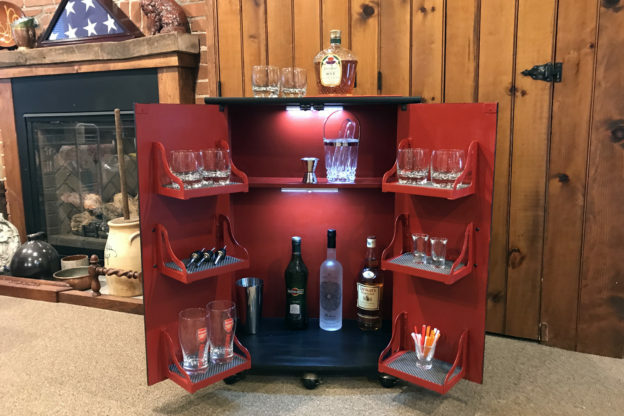 Furniture style boils down to shape, color and accessories. 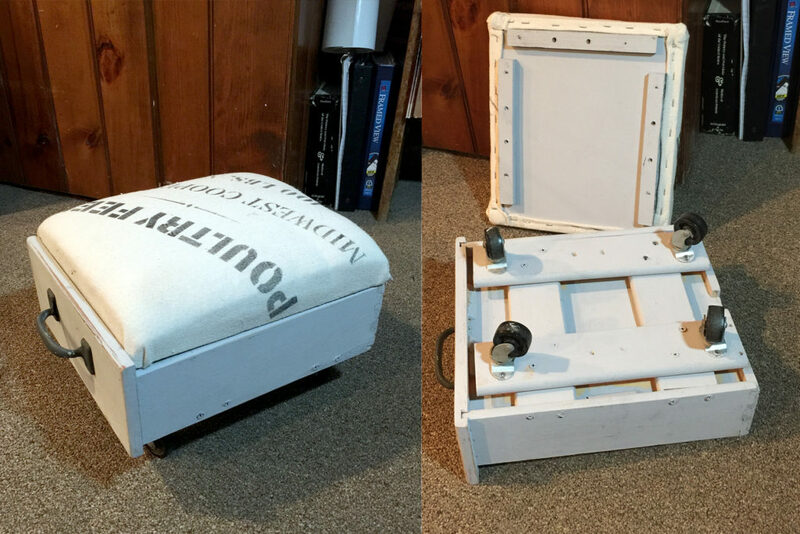 For seating, accessorizing can be as simple as a new pillow. To bring an ensemble together, coordinate the colors. Two new outfits are better than one! 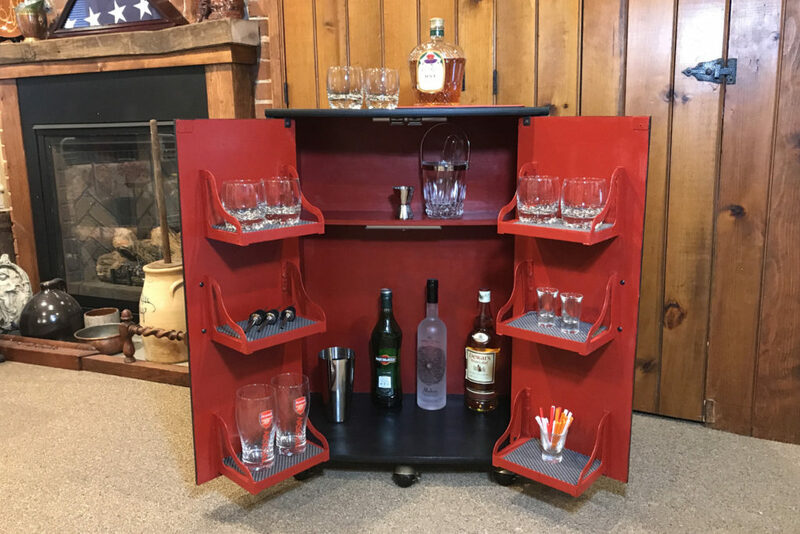 This entry was posted in Furniture, Musings and tagged Annie Sloan, Antoinette, baseball, bench, chalk paint, craft, crafting, footrest, furniture, Graphite, Karen Rae Levine, paint, painting, paris gray, refinish, refinishing, refurbish, refurbishing, repurpose, repurposing, softball, stain staining, stool, Suite Pieces, velvet, vintage. blue on January 13, 2017 by Karen Levine. 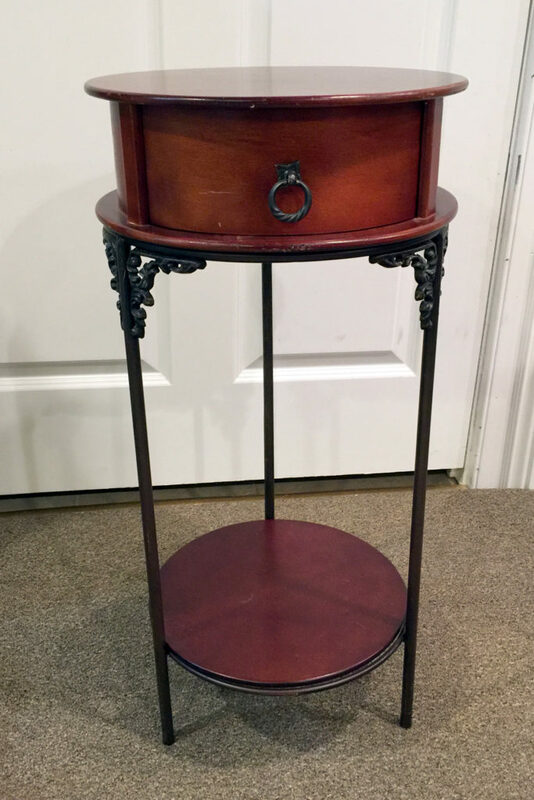 This little table is the first of a three-part plan to decorate a corner in an “eclectic contemporary” living room. 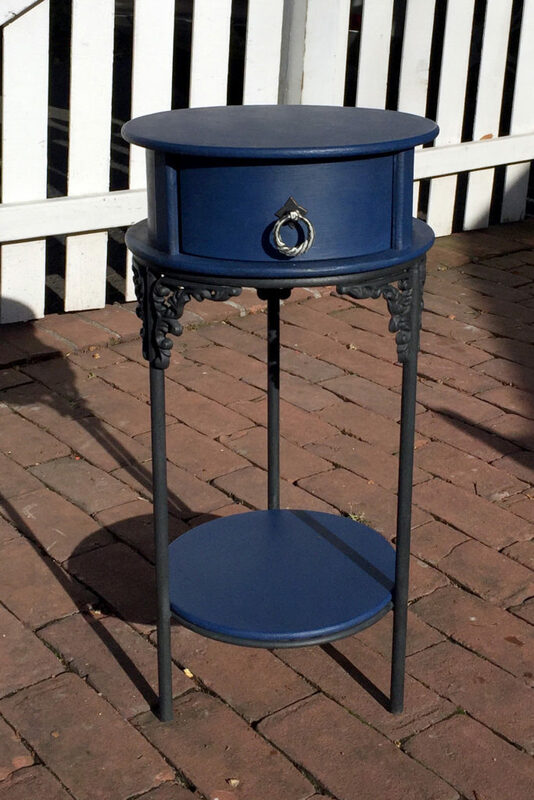 I knew right away the side table would be Napoleonic Blue because it would share a room with a dresser in the same color (The Tale of the Ugly Green Dresser). 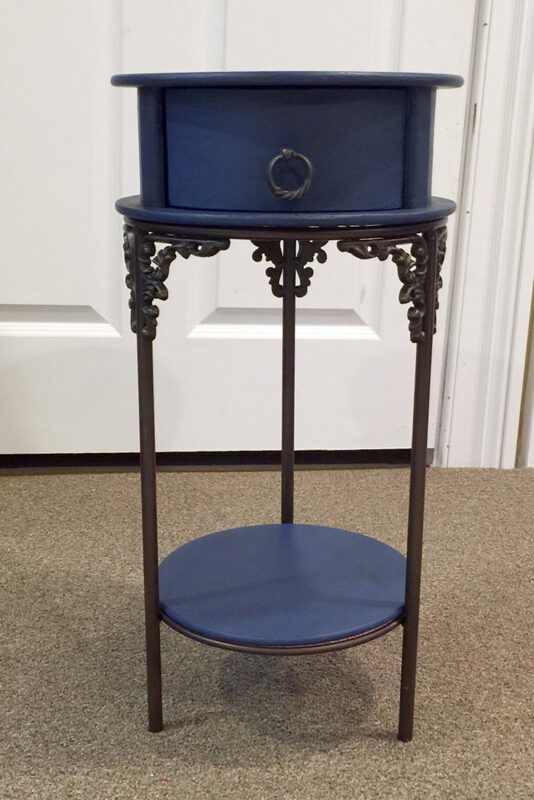 I loved the Napoleonic Blue with clear and black wax. 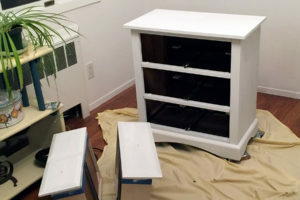 Try number 1: Because it was metal I decided on a first coat of primer. In the end, it didn’t matter and I didn’t need it. 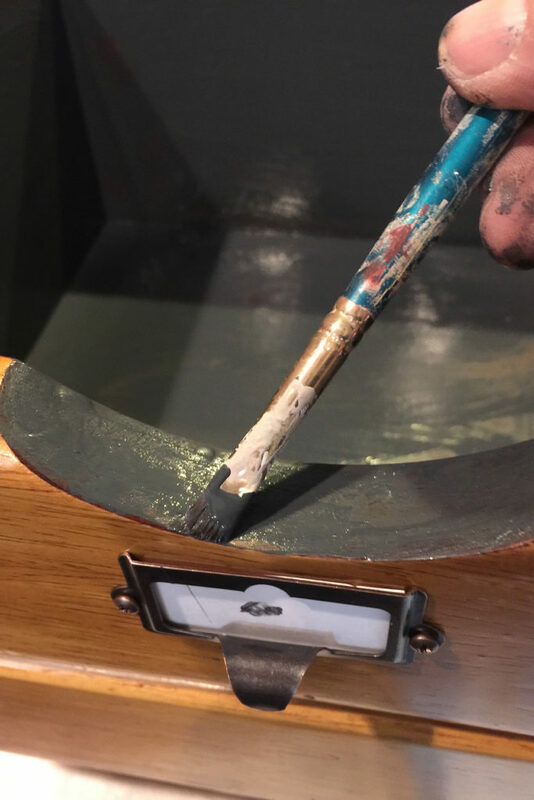 But how do you like my high-tech method of letting the paint dry on a knob? Try number 2 (below left): Old White. Boring. 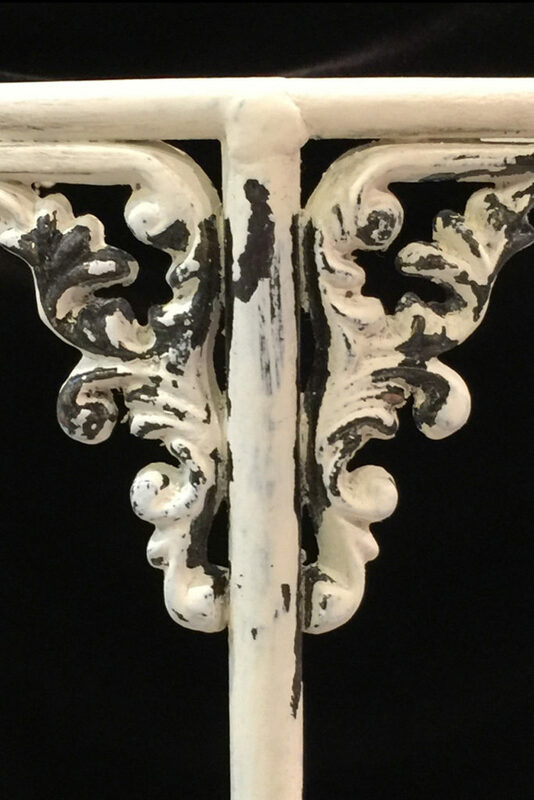 Try number 3 (below right): Old White with clear wax and then black wax. Not bad. I could have applied even more black wax but I wanted to try another method. 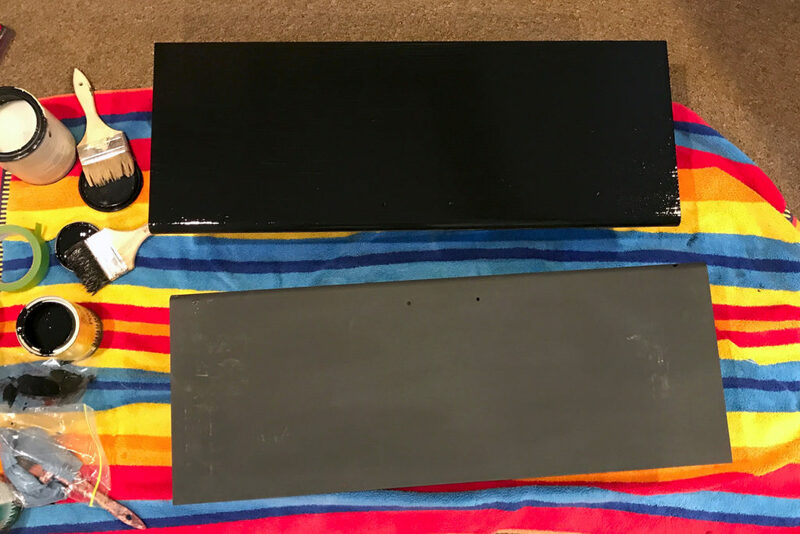 Try number 4 (below left): Old White rubbed directly with black wax (no clear coat in between). Black wax on its own is more of a stain. 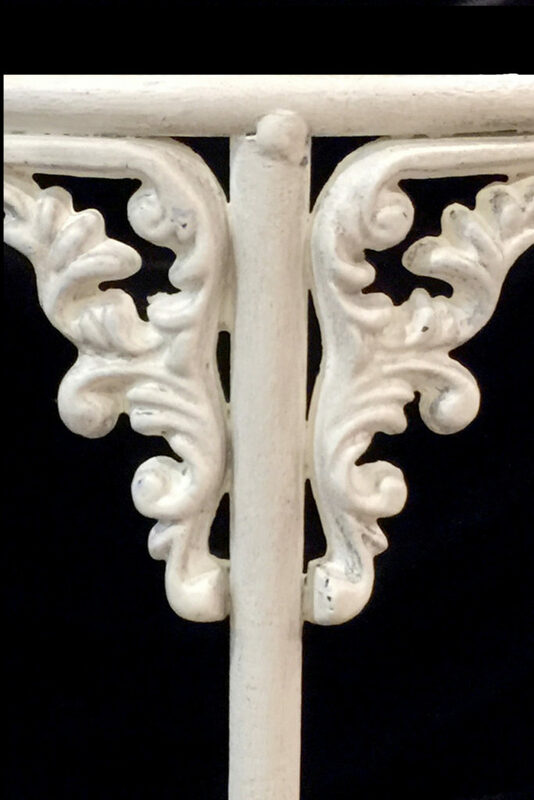 It did have an interesting look, almost a silver tone on the white, but it still wasn’t what I was looking for. I took out the mineral spirits to clean off the wax . 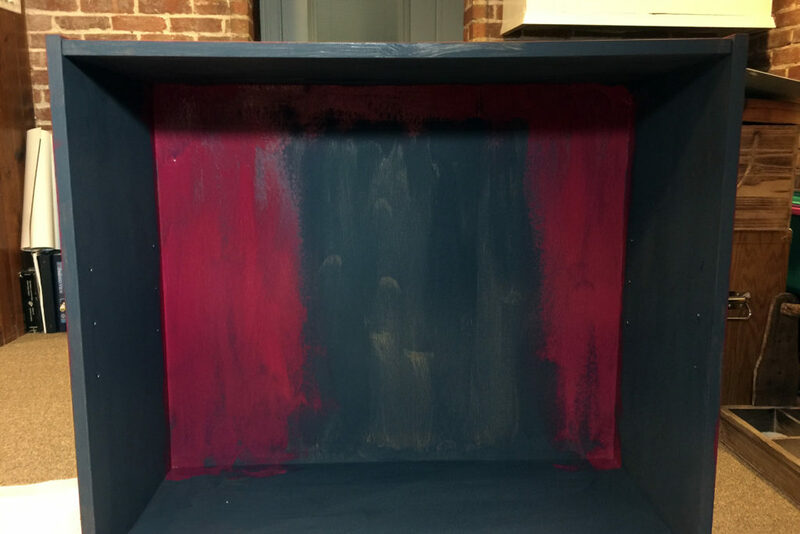 Try number 5 (below right): This is what it looks like when you grab the wrong can and, instead of mineral spirits, dump a glob of paint remover on the paint you had so carefully applied. When I was done cleaning this toxic product off of my unprotected skin and calling myself all sorts of names, I took a look. 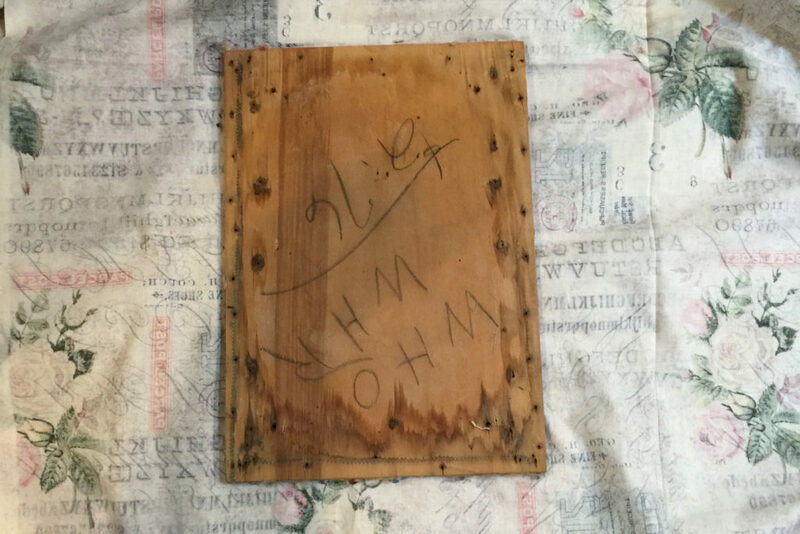 This might be a method to catalog for another time. But not this time. Try number 6: I gave up on the Old White and went to Graphite. 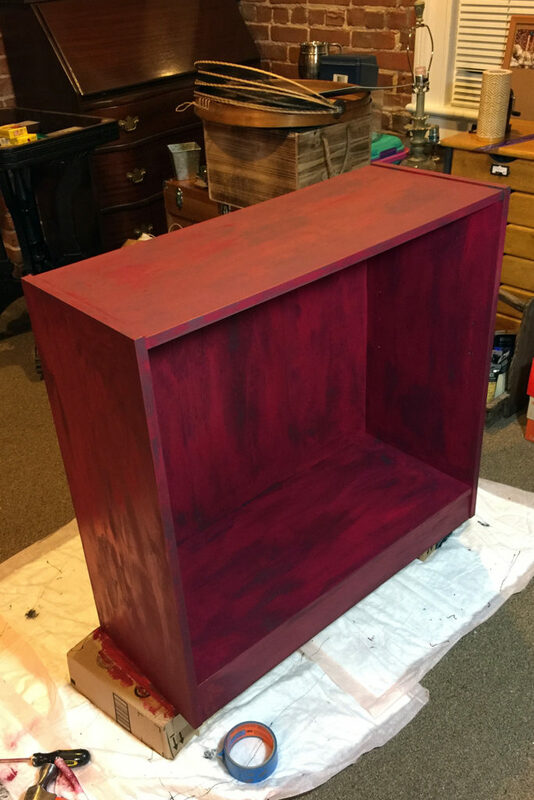 This is the first coat. 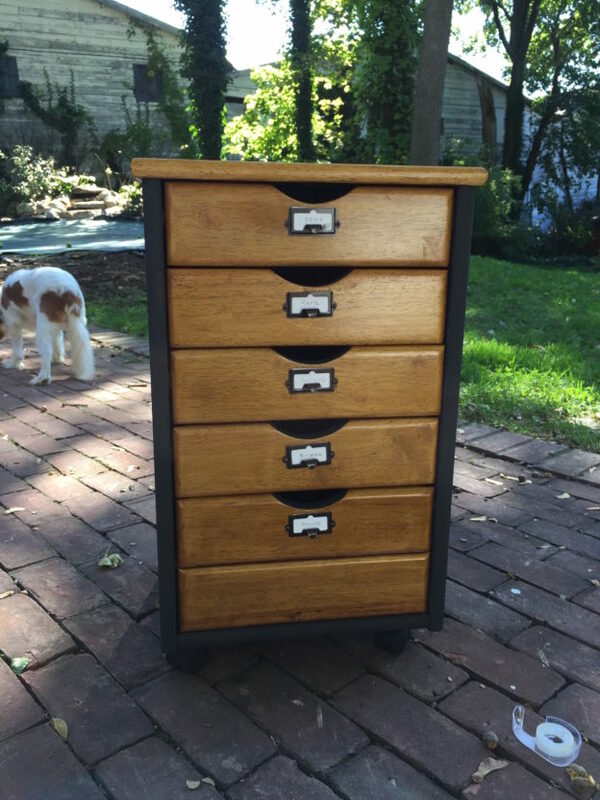 Two coats of Graphite and an application of black wax gave me what I was looking for. What I really wanted was so much easier than what I thought I wanted! 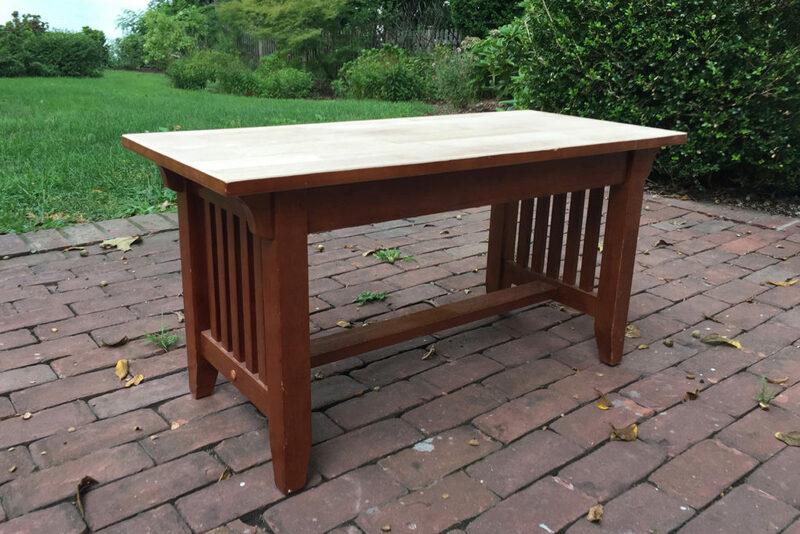 The table, by the way, was one of a set of three I bought together. This is Charlie checking out my work. Charlie is the reason I have to watch out for dog hair in my paint. Try number 7: Since the knob had been painted Old White and then Graphite, I sanded down some of the Graphite to reveal the white. I liked it. Finally, success. Pay attention to the product label before you open it! Mistakes are a learning experience. 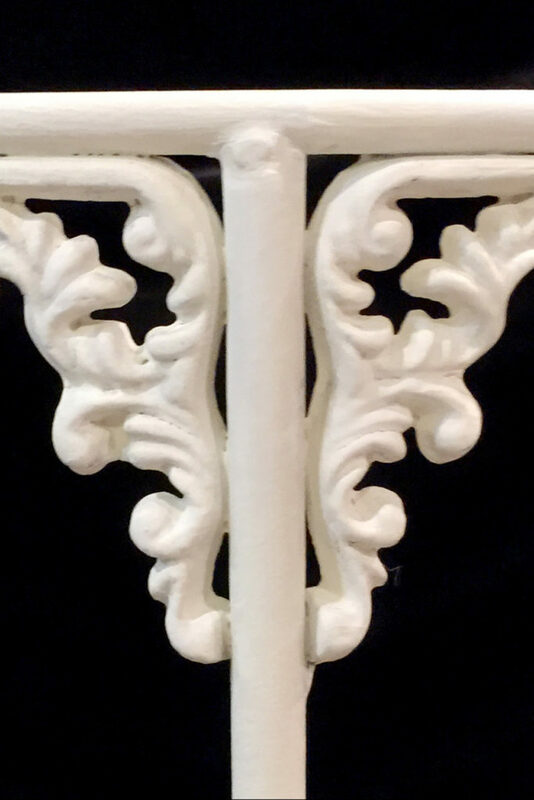 This entry was posted in Furniture, Musings and tagged Annie Sloan, black wax, chalk paint, craft, crafting, furniture, Graphite, Karen Rae Levine, Napoleonic Blue, old white, paint, painting, refinish, refinishing, refurbish, refurbishing, repurpose, repurposing, stain, staining, Suite Pieces on January 6, 2017 by Karen Levine. I wanted to make a special gift for my brother and his awesome family. My nieces are talented softball players and my brother and sister-in-law spend countless hours at ball fields watching their girls play. I looked for inspiration for softball themed make-overs and I found some interesting baseball ideas but they all looked very boyish. Not that I was going to paint something pink and frilly, but really, these girls needed a shout-out. I owned four benches, which is about three too many. 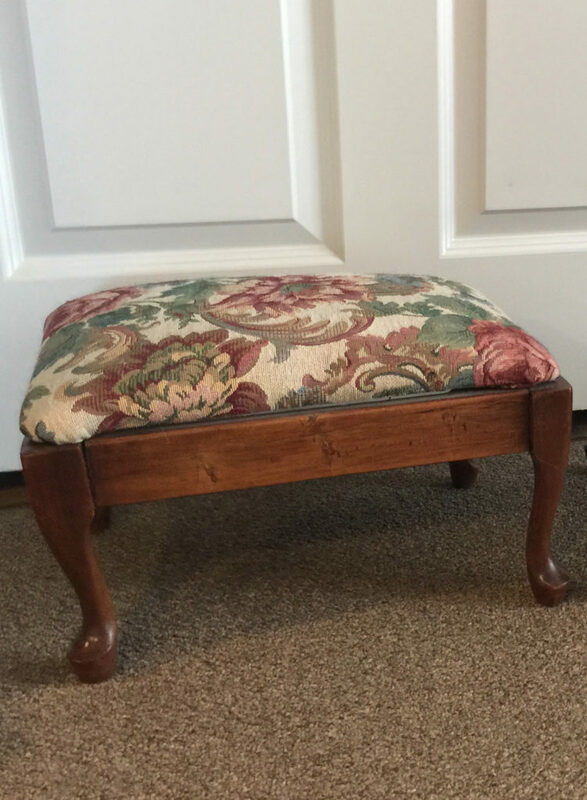 A bench would suit the purpose very well because I’ve watched my nieces play and witnessed the whole family drag themselves, satisfied and exhausted, back home. And when you feel that way, there’s really no place like home. Are catching on to the theme here? I forgot to take a “before” picture of the bench but I managed to catch it after I sanded the top. 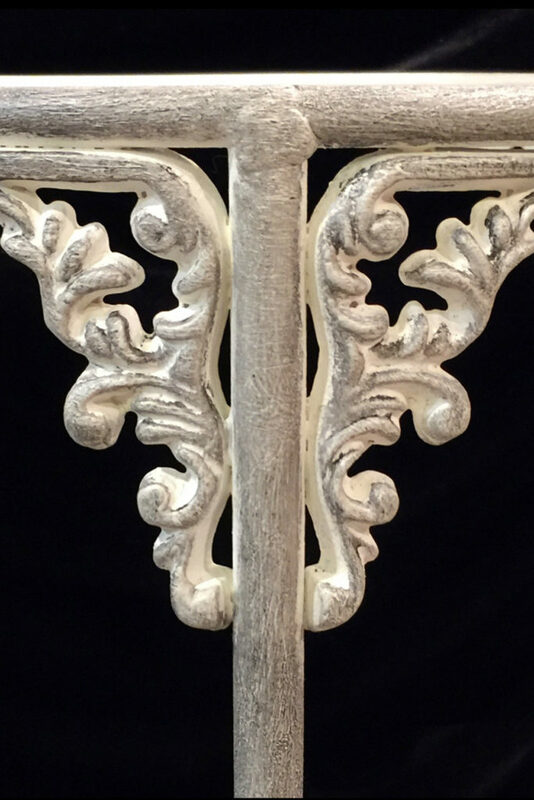 I stained the top, let it dry, and and then flipped it over to drill four holes in the cross bar at the bottom. I made sure they were spaced equally. I can be finicky about things like that. I’ll save the reason for holes for later. I’m sure the suspense is killing you. 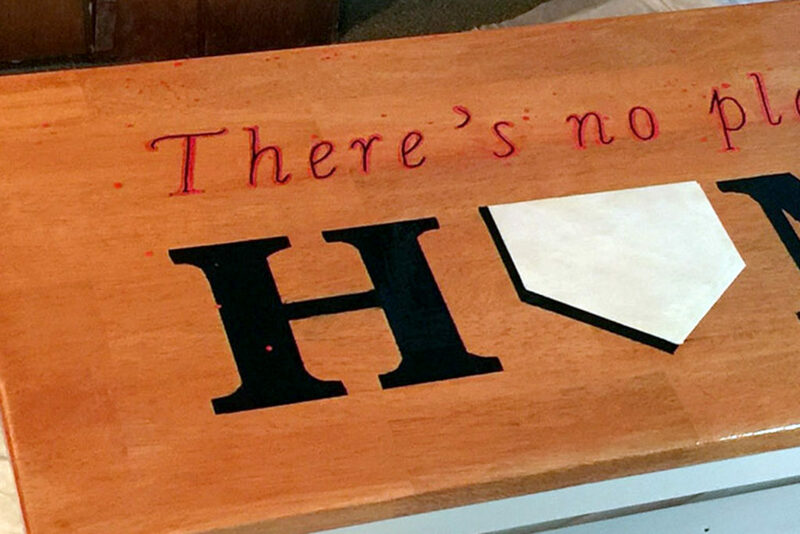 I designed my plan for the top, which included resizing the exact dimensions of home plate. This is another example of how finicky I can be. Now for my brilliant double entendre (stolen from a photo of a doormat). I had mapped it out in Photoshop. Note the guidelines I included. I transfered the image with graphite paper. I decided on a paint pen to outline the smaller lettering. The pen was red but on the stained wood it came out kind of pinkish. That wasn’t bad. A little girly, but not too much. 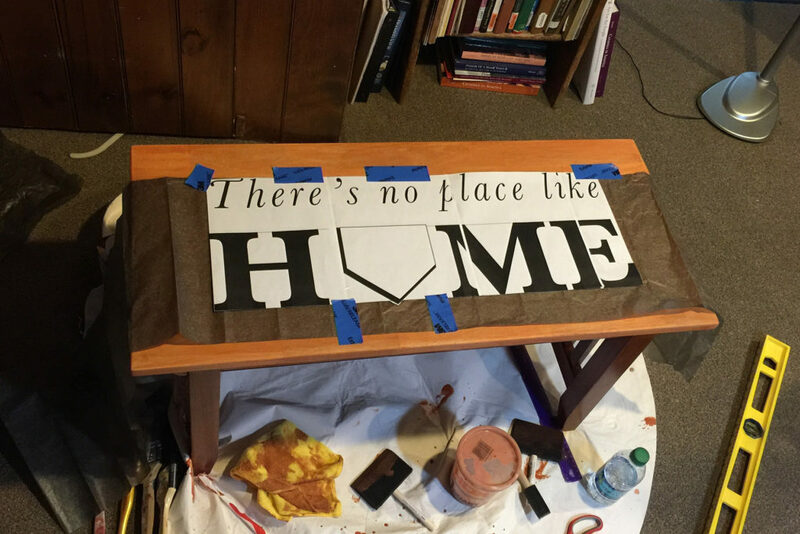 I taped around home plate, loving all those straight lines, and painted it Old Ochre. I even “dirtied” it by dry-brushing a mixture of Old Ochre and Graphite. 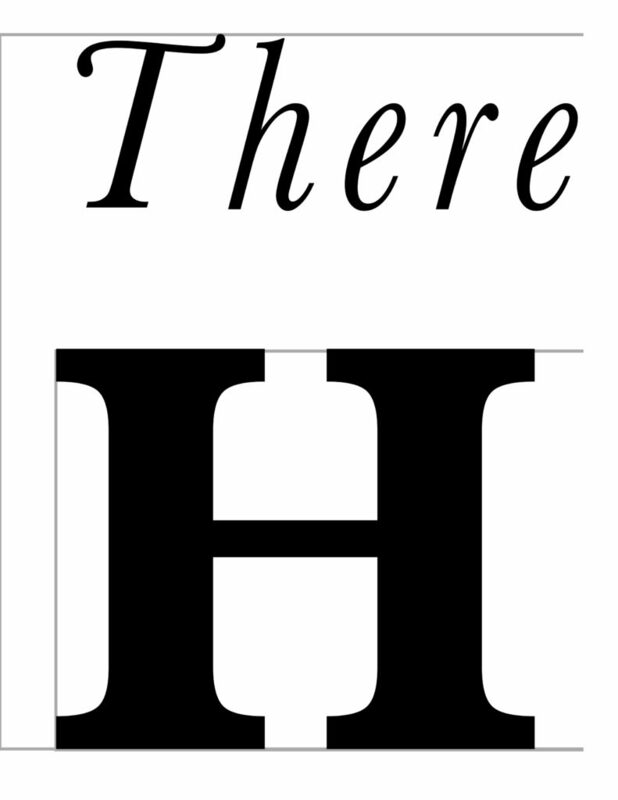 After I was finished patting myself on the back, I painted the H, M and E with Graphite, trying to resist perfection as I swung my calligraphy brush along the curves of the lettering. 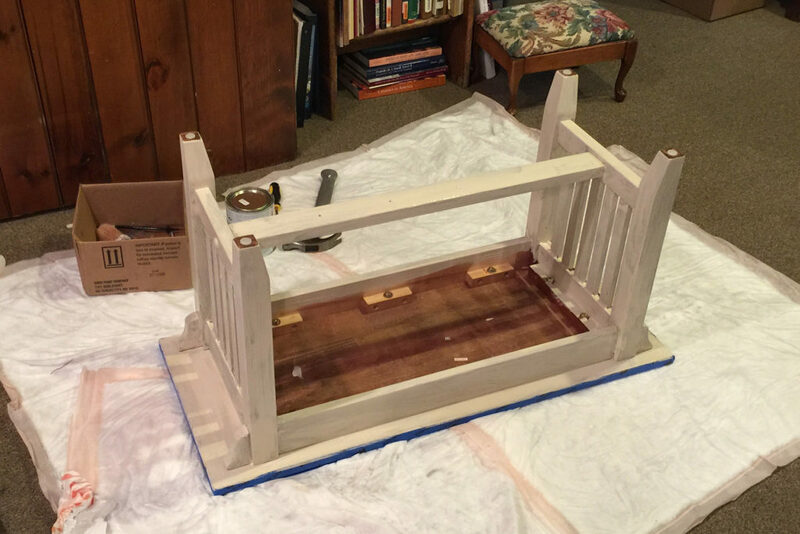 I applied two coats of Old Ochre to the base. Then I had a sinking feeling, as if I was stealing second and the outfielder was on the ball. 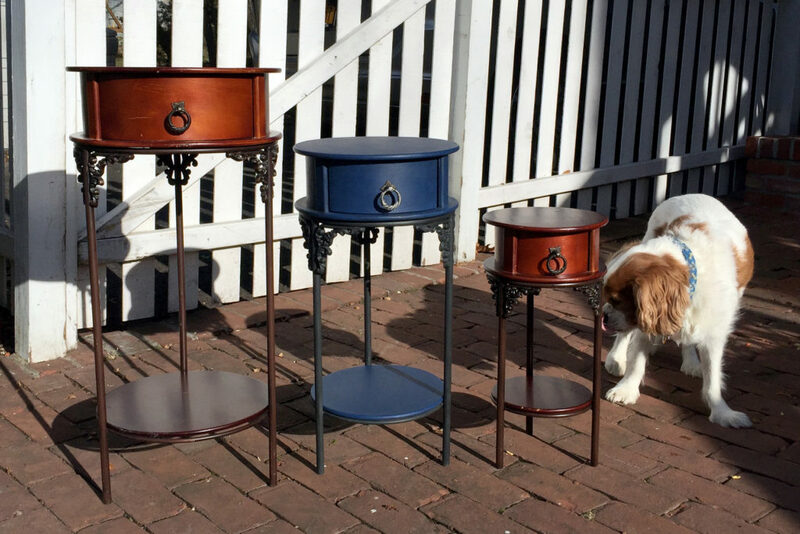 I’d read on the internet that chalk paint would hold up in the great outdoors. You can’t always count on the internet, but you can always count on your coach. I messaged Amanda Peppard, the owner of Suite Pieces. 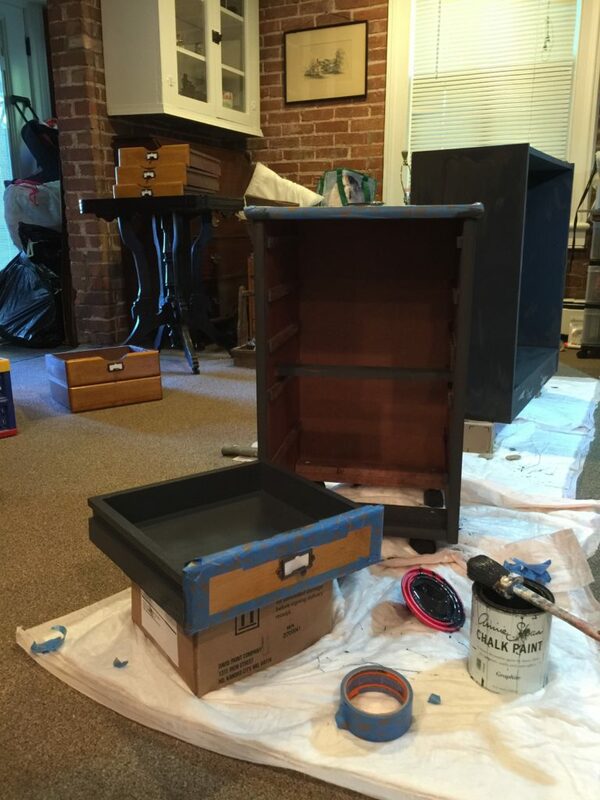 She explained that untreated chalk paint was good-to-go outdoors BUT it wouldn’t protect whatever was underneath. The wood I’d painted was already ready for weather. A hip-thumping slide and safe on second! Thanks Coach! Remember those four holes I drilled? Are you still dying of suspense? That’s where I screwed four softballs. 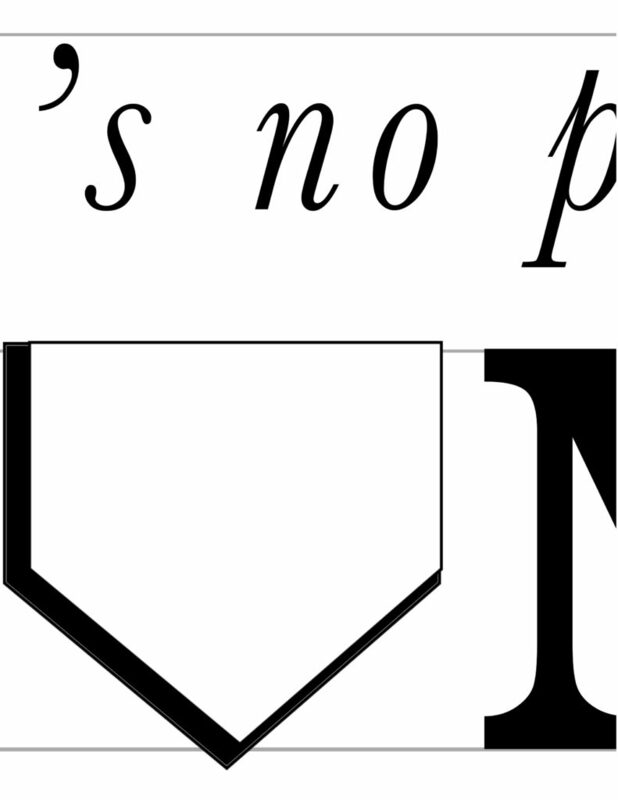 (NOT baseballs.) 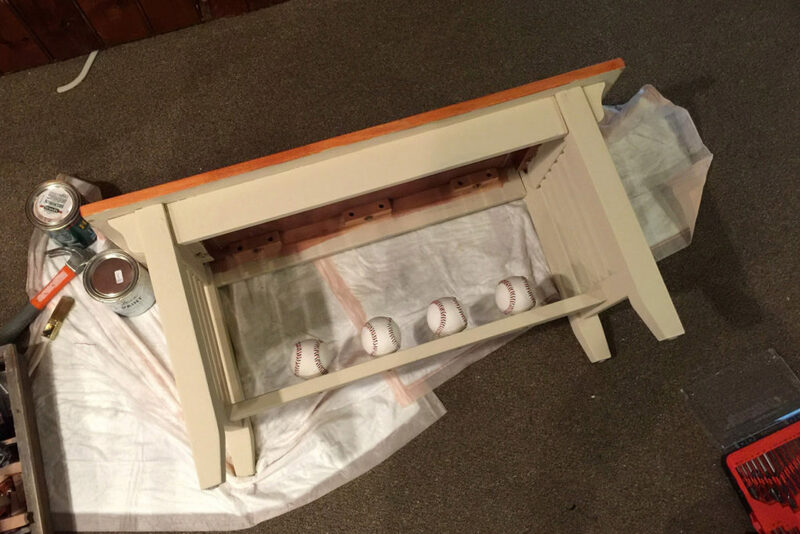 I’d pre-drilled the softballs and used a nice long wood screw to attach them from the bottom. Back in the dugout, my pinkish lettering wasn’t standing out as much as I wanted it to. I took out my paint pens for another pass. The thing about paint pens is that you have to shake them once in awhile and, like banging the dirt off your cleats with a bat, the stuff flies everywhere. I tried removing a few but the stained wood had absorbed those little paint bombs. A swing and a miss. Pass the Gatorade. 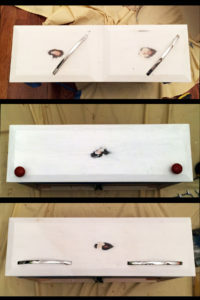 I gave up and sealed the top with two coats of polyurethane, paint bombs and all. I surprised my brother and his family with their bench after a double header. They were thrilled and amazed. Thrilled and amazed always gives me a good feeling, especially when it comes from my sports idols. Do not shake a paint pen anywhere near your project. Untreated Chalk-painted surfaces will hold up outdoors but will not protect the surface underneath. “The enemy of good is better” – Voltaire. P.S. Did you know that before Judy Garland stamped “There’s no place like home.” on our hearts in The Wizard of Oz, the chart-topping song in the 1800’s was “Home Sweet Home”, which includes the same phrase–over and over again? 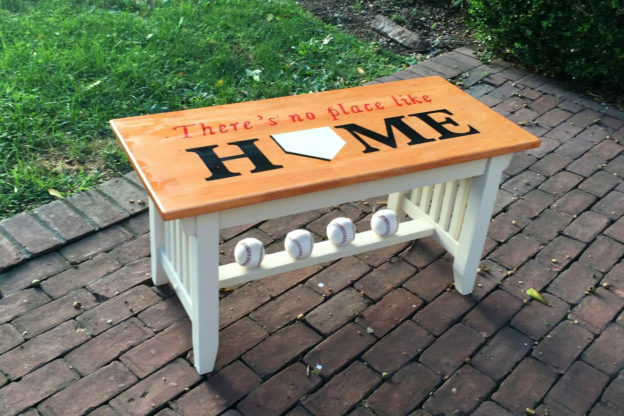 This entry was posted in Furniture, Musings and tagged Annie Sloan, baseball, bench, chalk paint, craft, crafting, furniture, Graphite, Karen Rae Levine, Old Ochre, paint, painting, refinish, refinishing, refurbish, refurbishing, repurpose, repurposing, softball, stain staining, Suite Pieces on December 16, 2016 by Karen Levine.